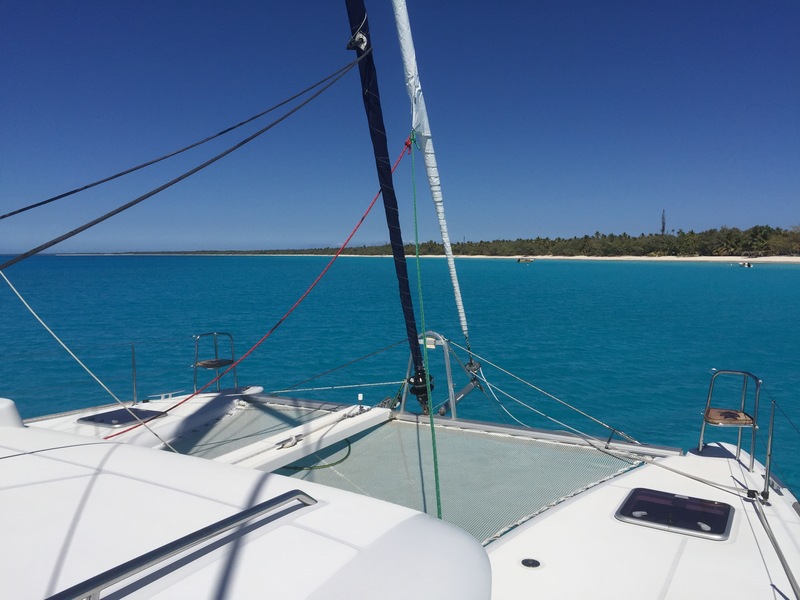 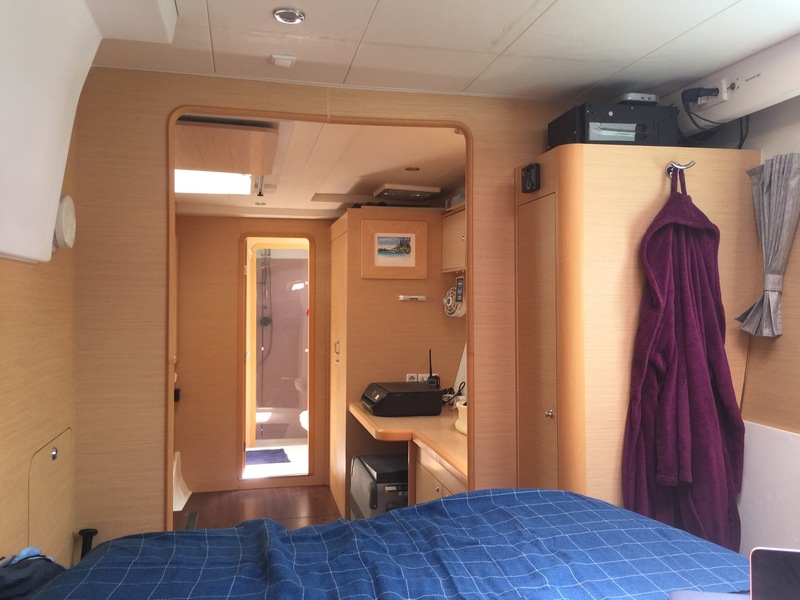 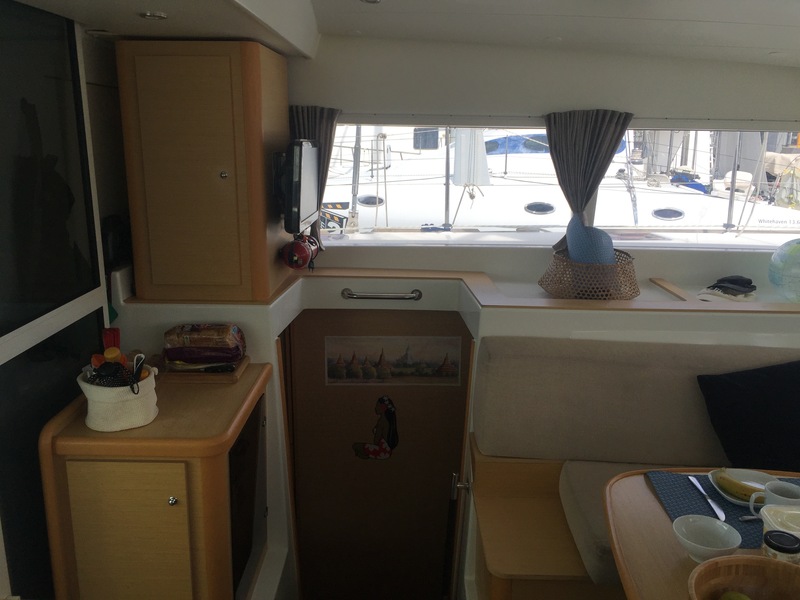 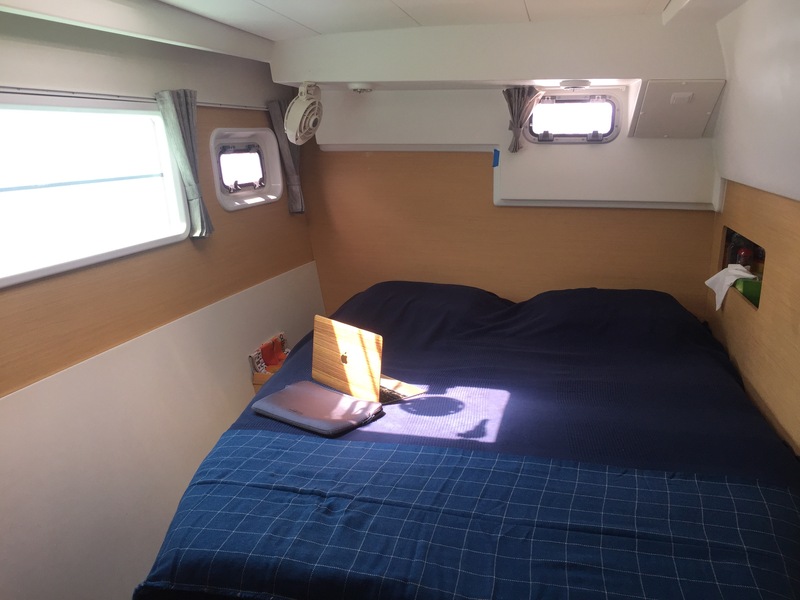 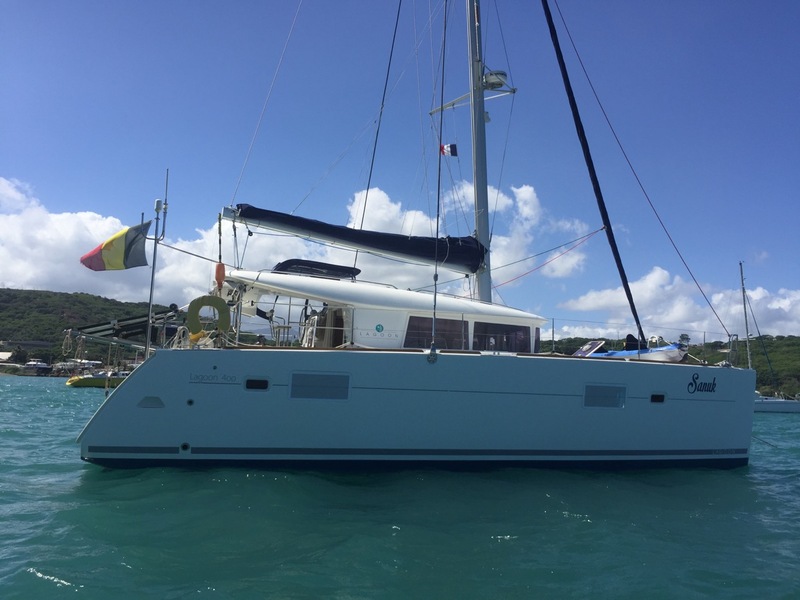 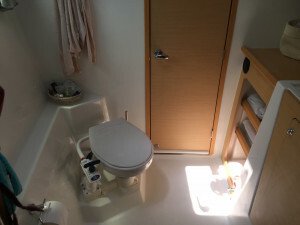 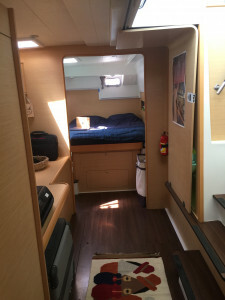 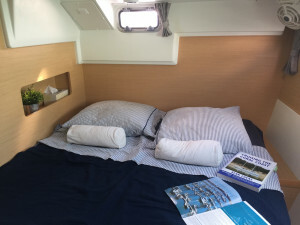 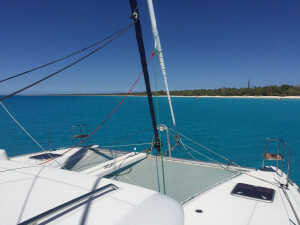 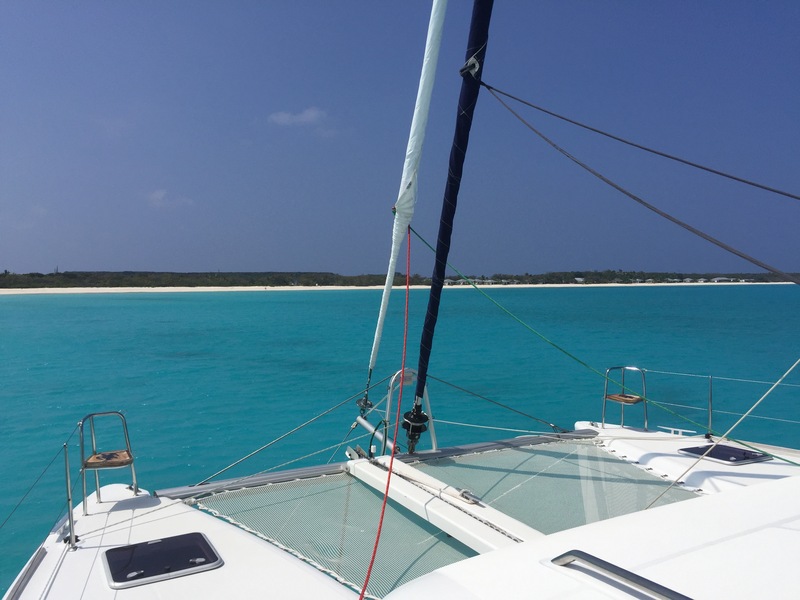 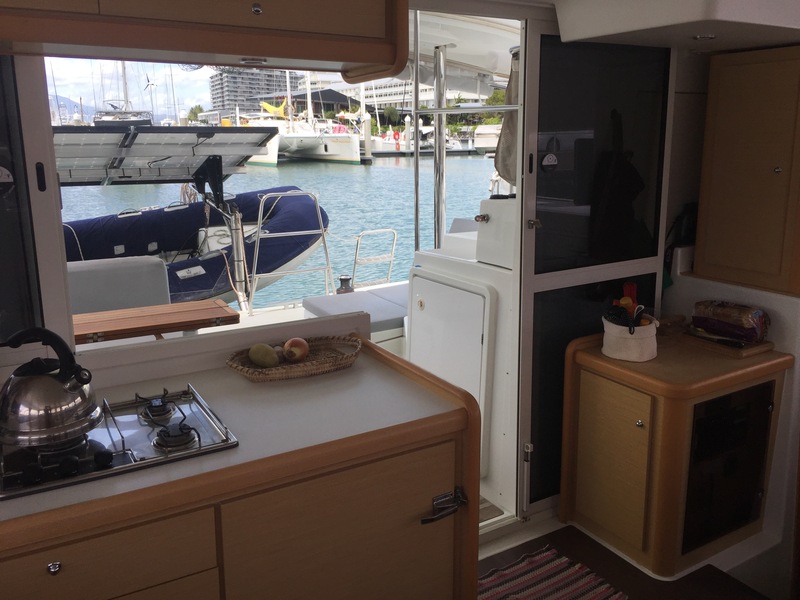 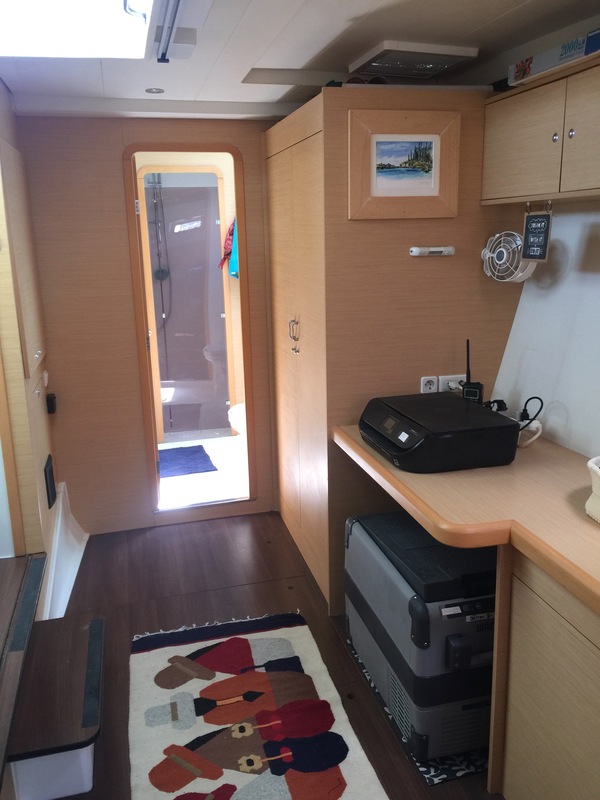 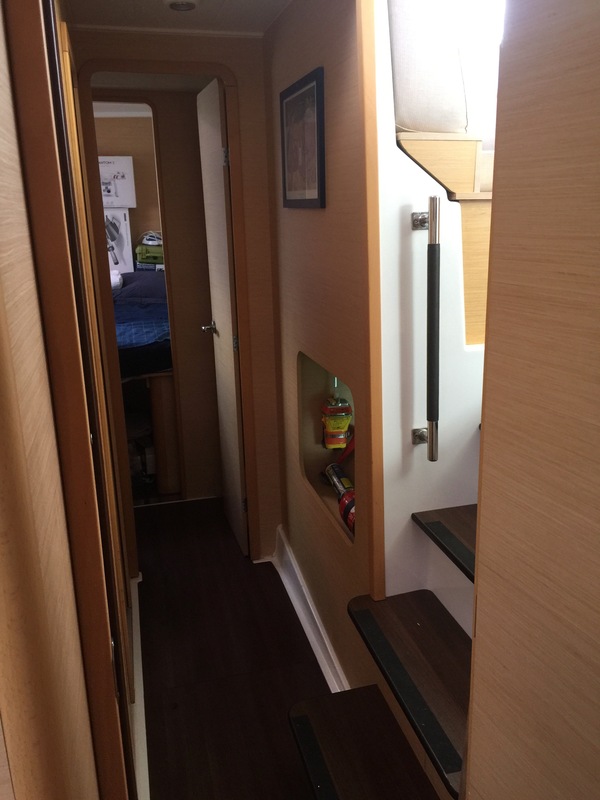 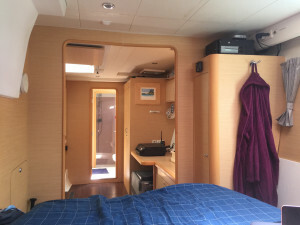 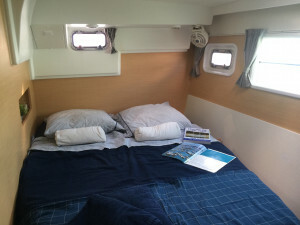 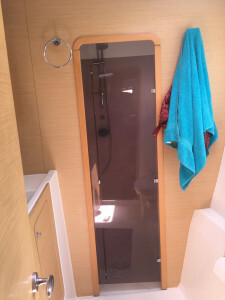 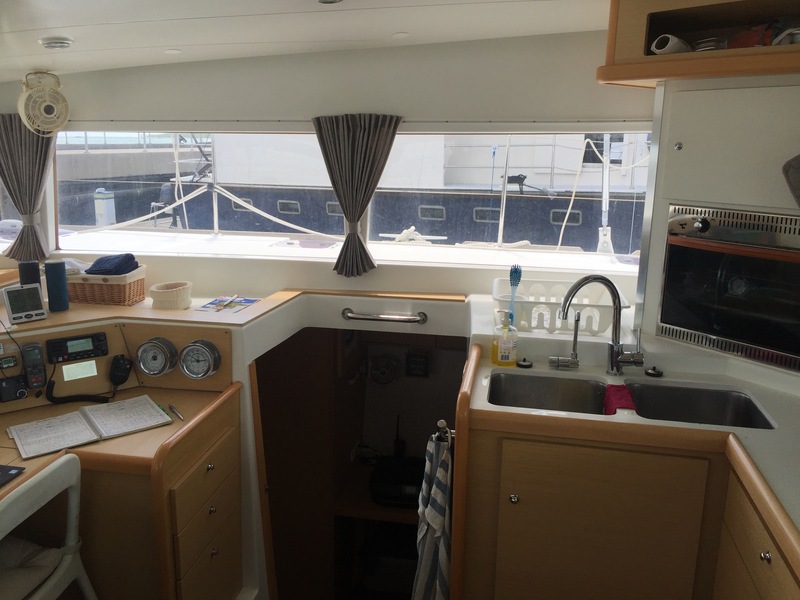 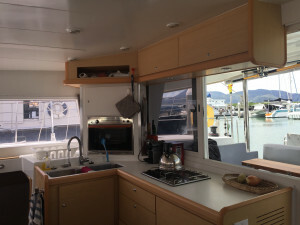 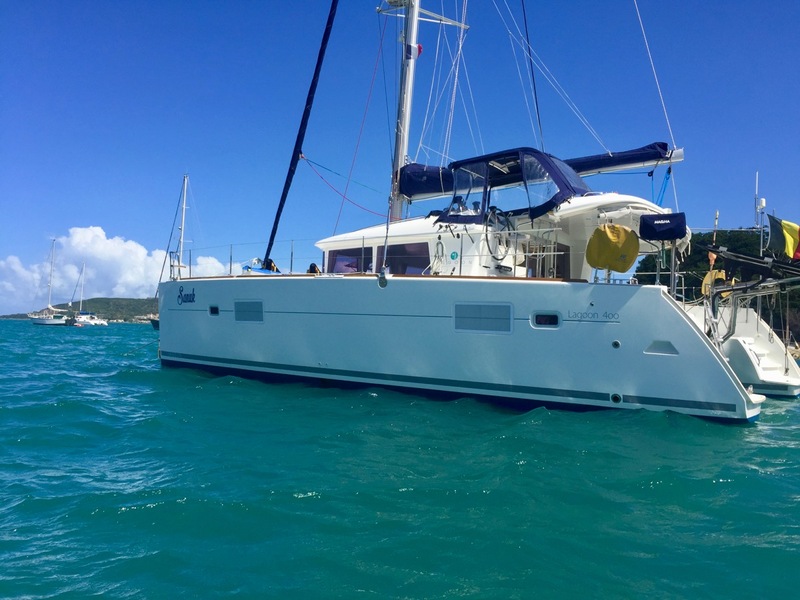 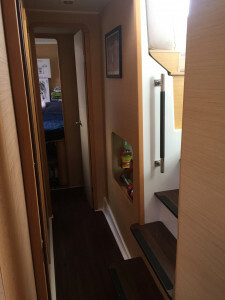 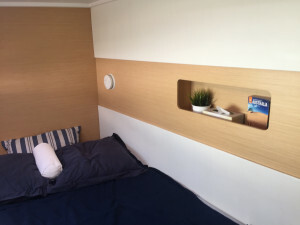 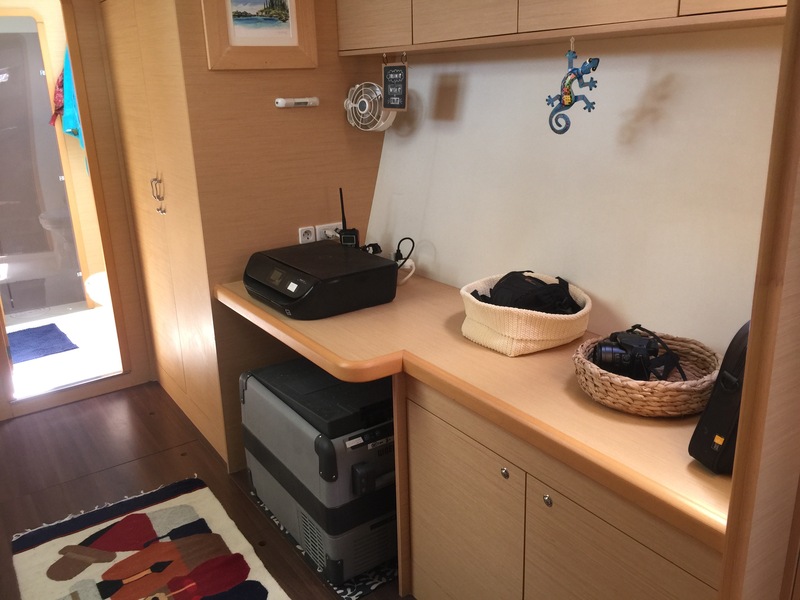 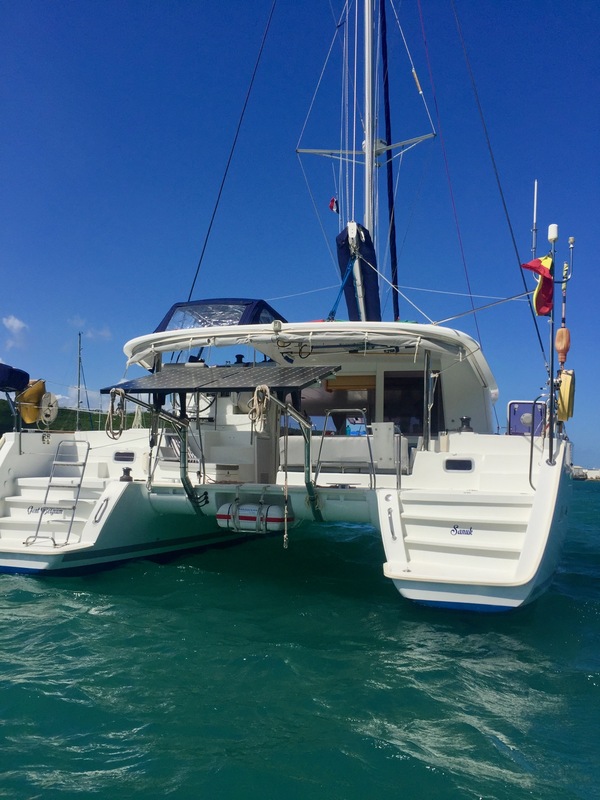 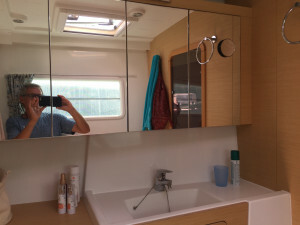 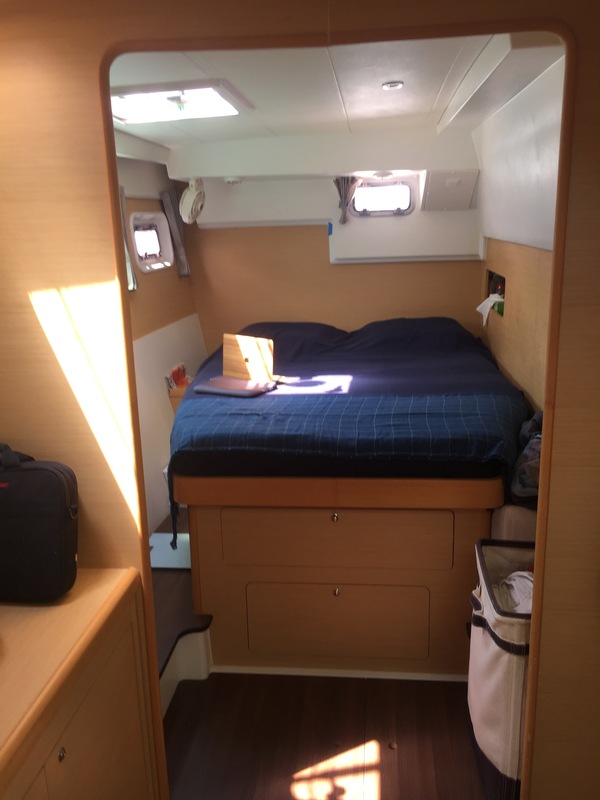 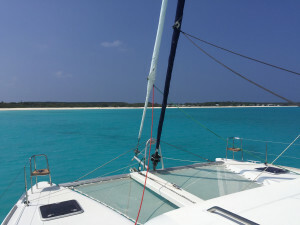 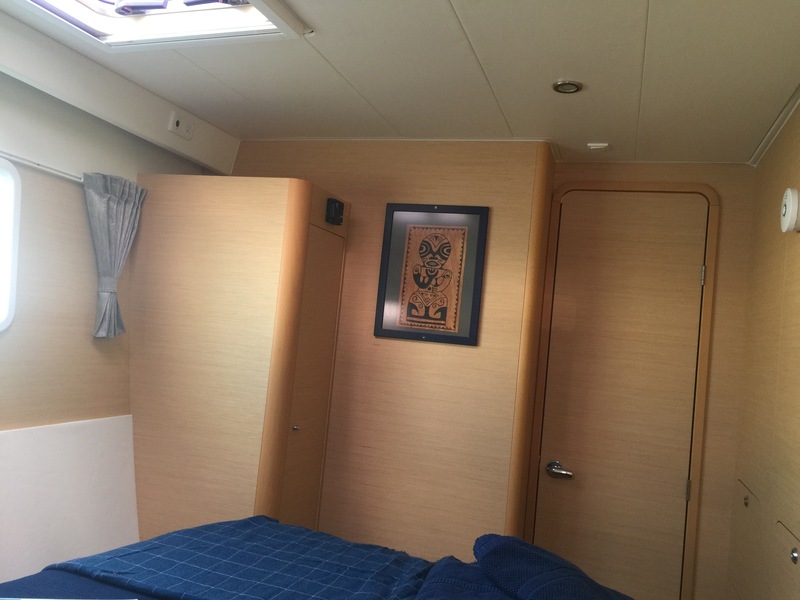 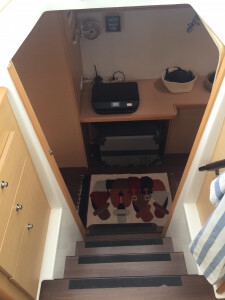 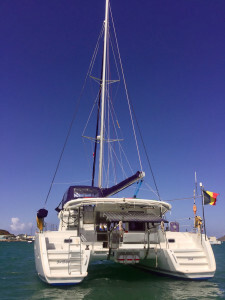 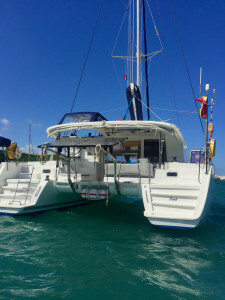 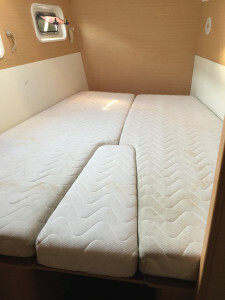 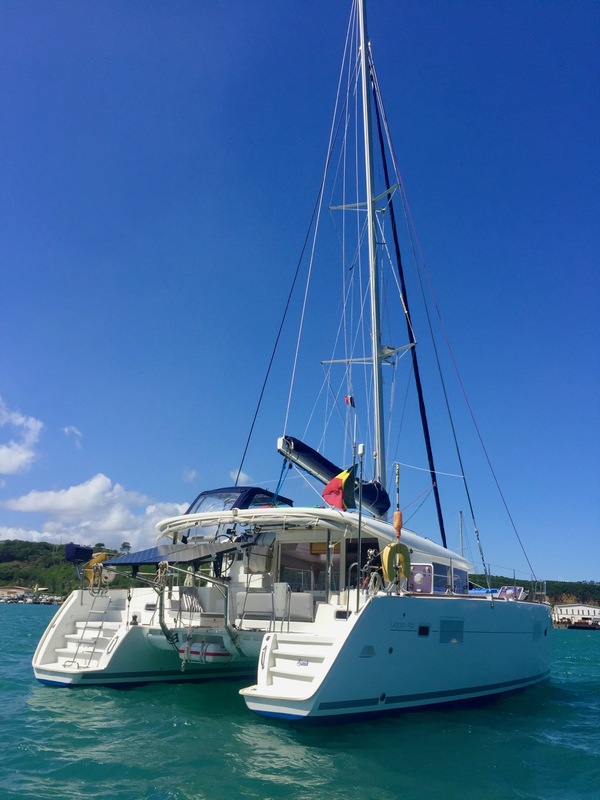 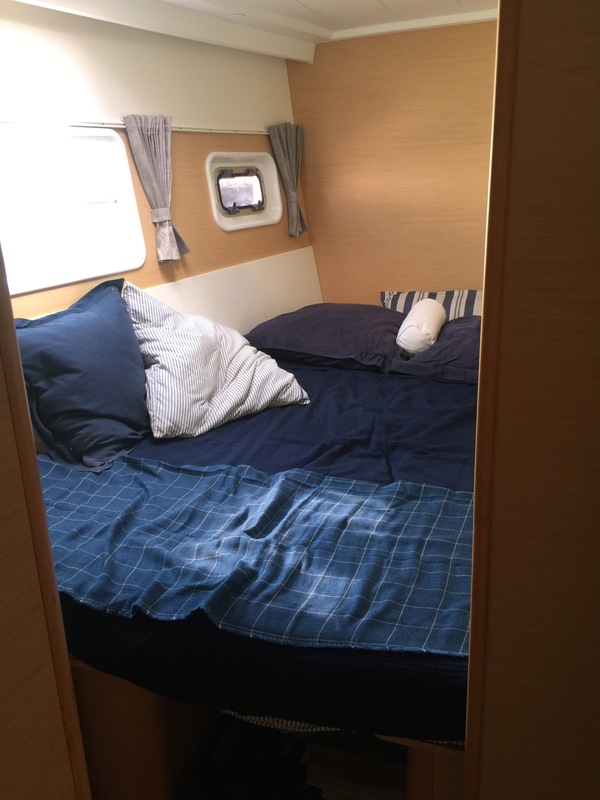 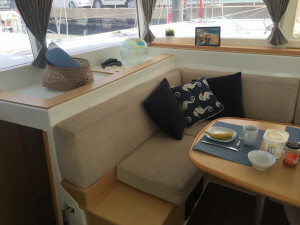 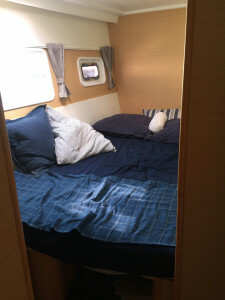 40 foot (12 meter) Lagoon catamaran L 400 owners version 3 cabins 2 heads 2 showers. 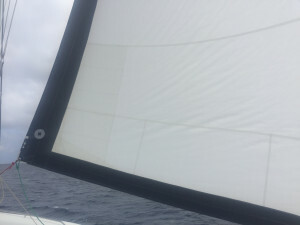 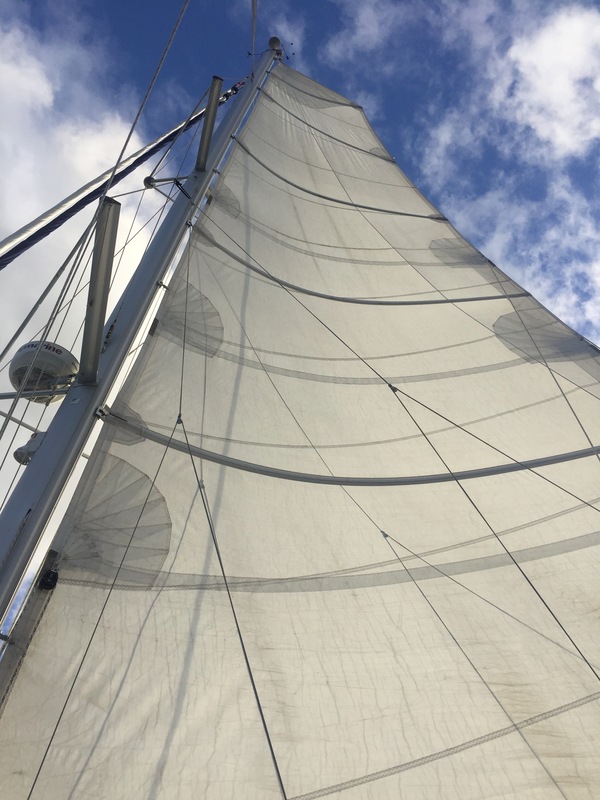 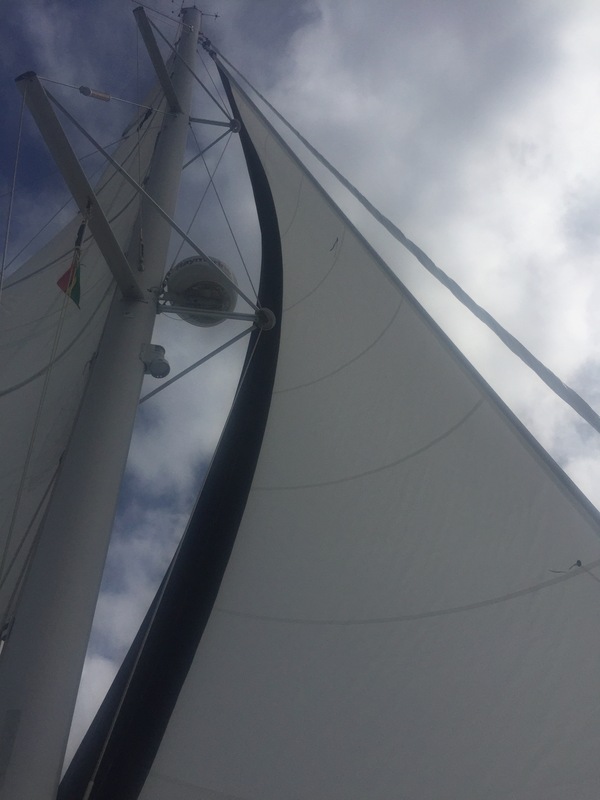 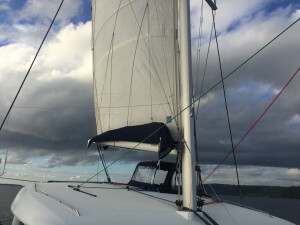 Full control of sails and reefing from helm station, no need to leave cockpit. 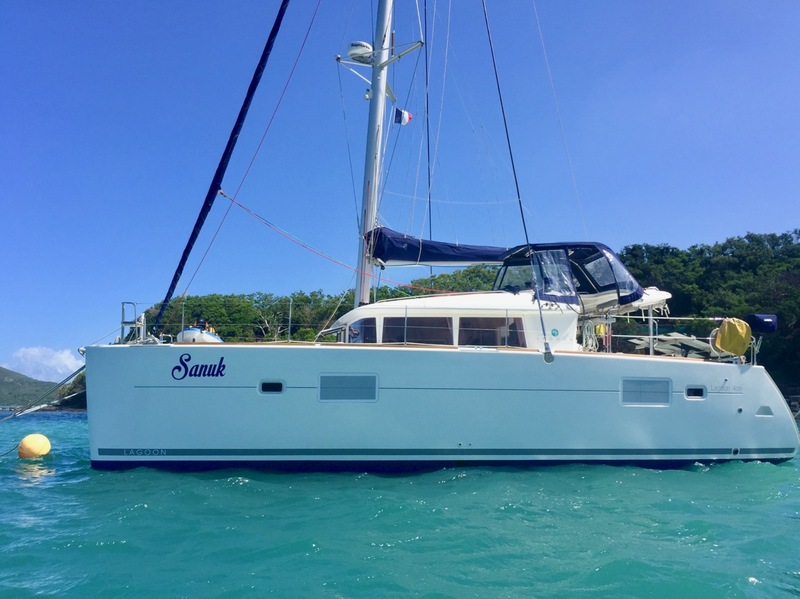 SANUK was kept up to date and lovingly maintained since new. 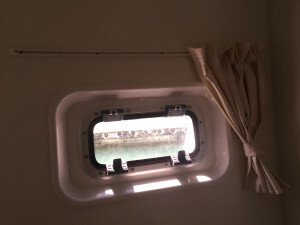 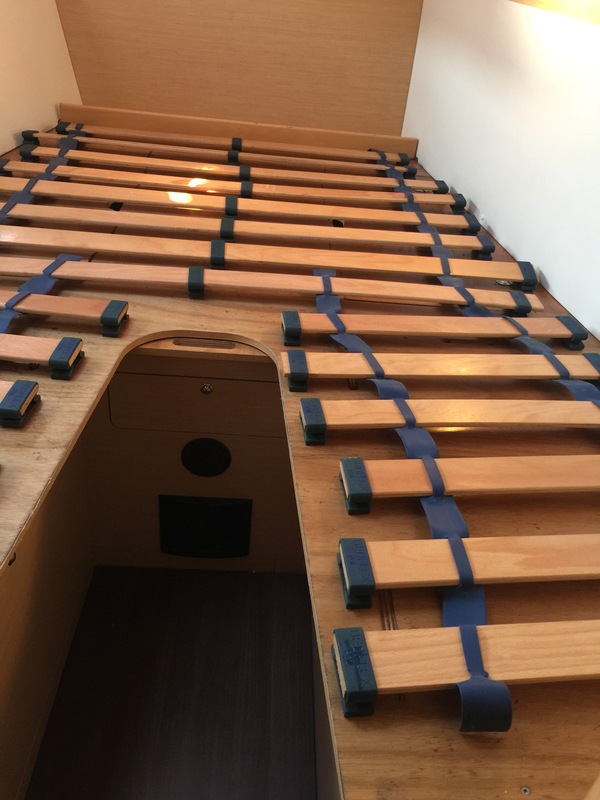 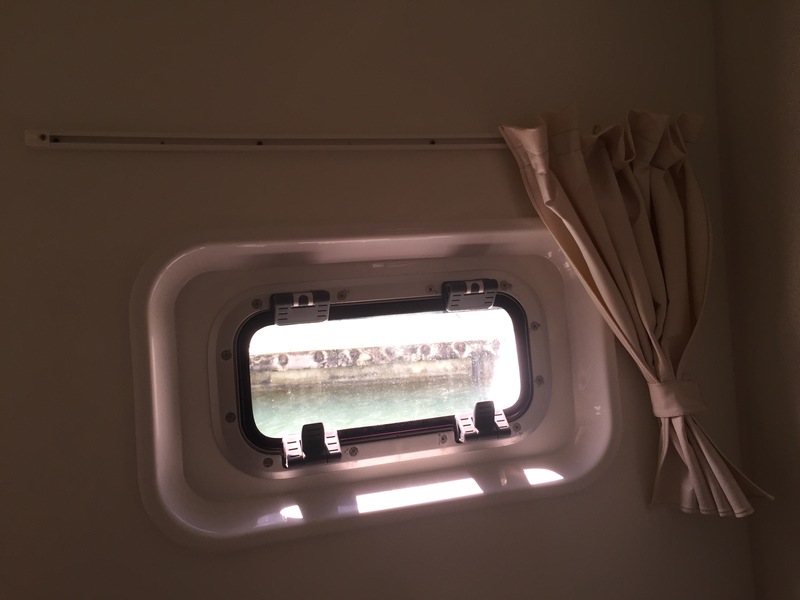 Her current owners have kept the yacht up to date as they cruised, with the addition of new features (see list in DESCRIPTION below) and the replacement of worn or broken equipment without delay. 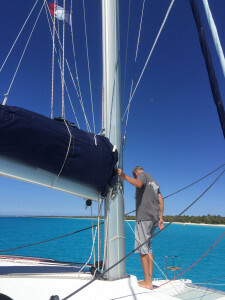 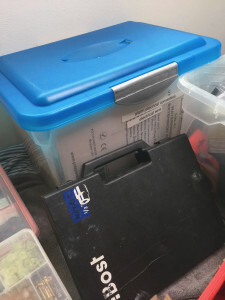 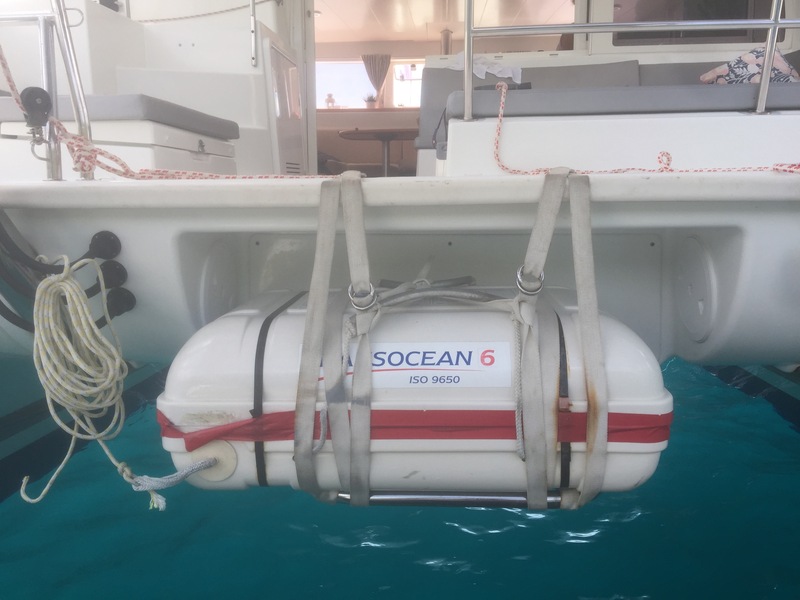 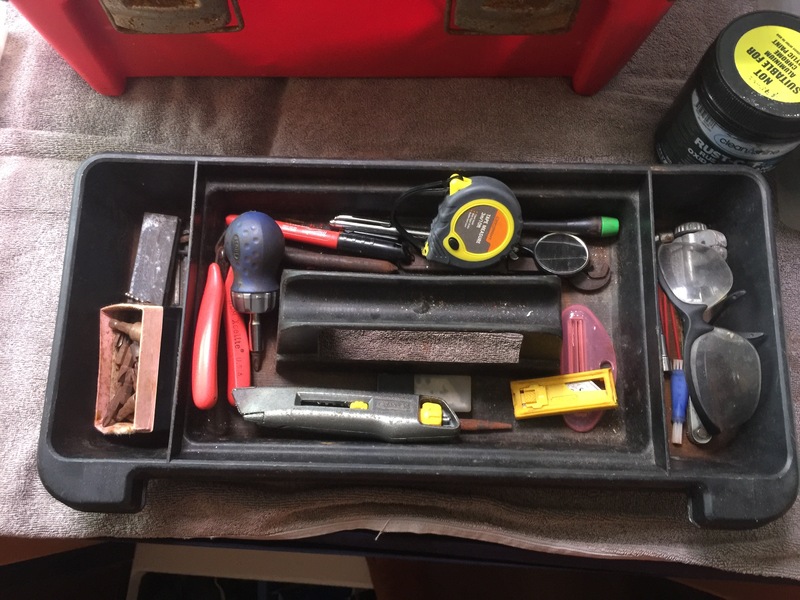 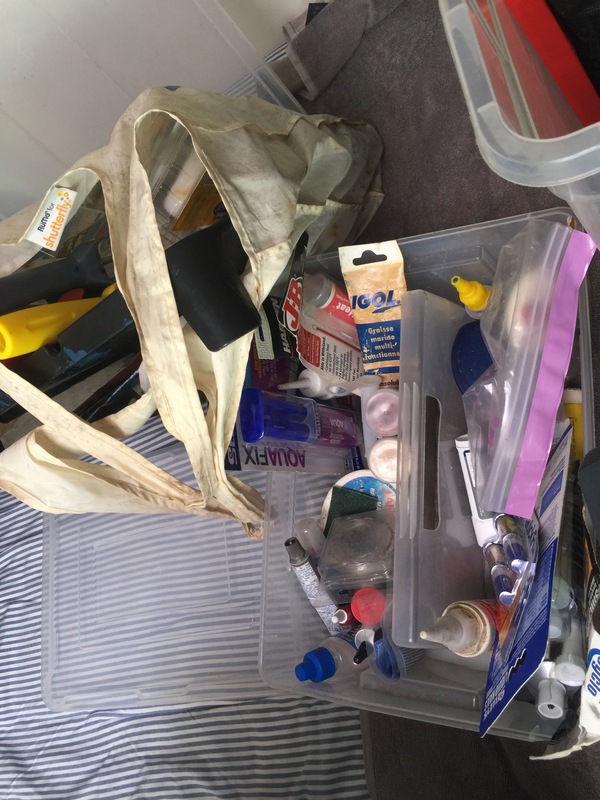 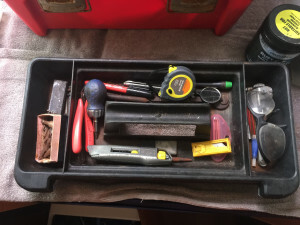 Their knowledge of the boat and of her systems, as well as appropriate maintenance is second to none, and they have generously offered to spend plenty of time with the buyers to help them settle in and share their knowledge with them. 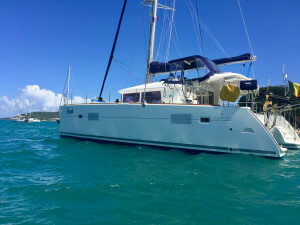 Nautilus Yacht Management is proud to present this beautifully presented Lagoon 400. 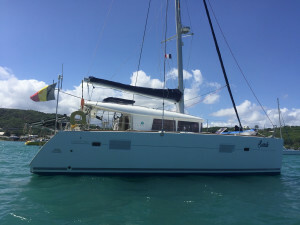 Awarded around the world for her spacious design, sailing performance and sea-worthiness, she is now available to you fully equipped to continue around the world, and in a near-new condition for a fraction of her replacement cost (please read Cruising World Lagoon 400 review for an professional and independent feedback). 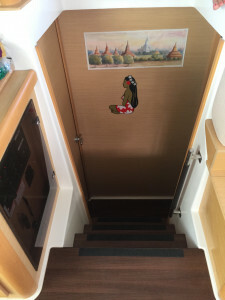 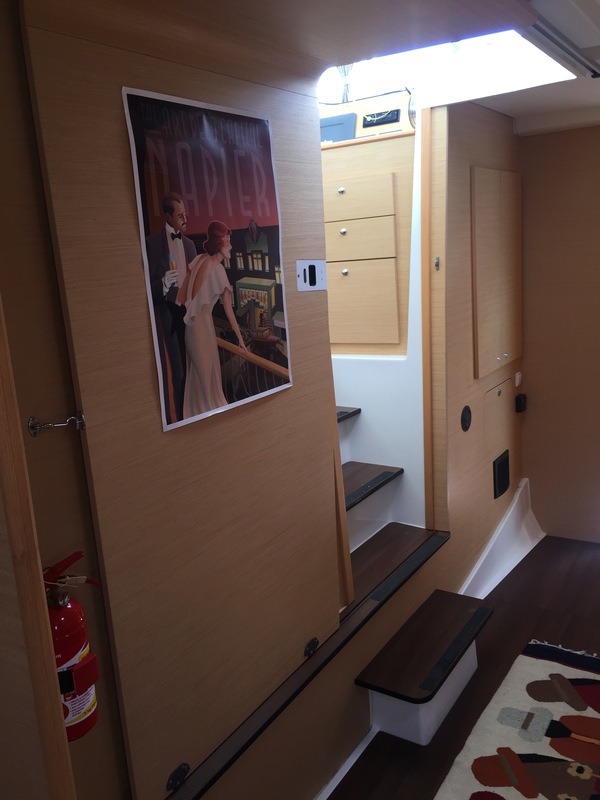 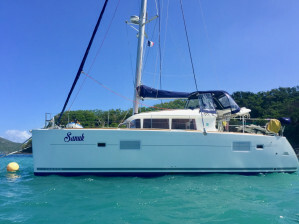 Her owners, a European couple who had dreamed of this cruise for many years and done a lot of research before settling on this choice, praised their decision to chose SANUK every day throughout their trip. 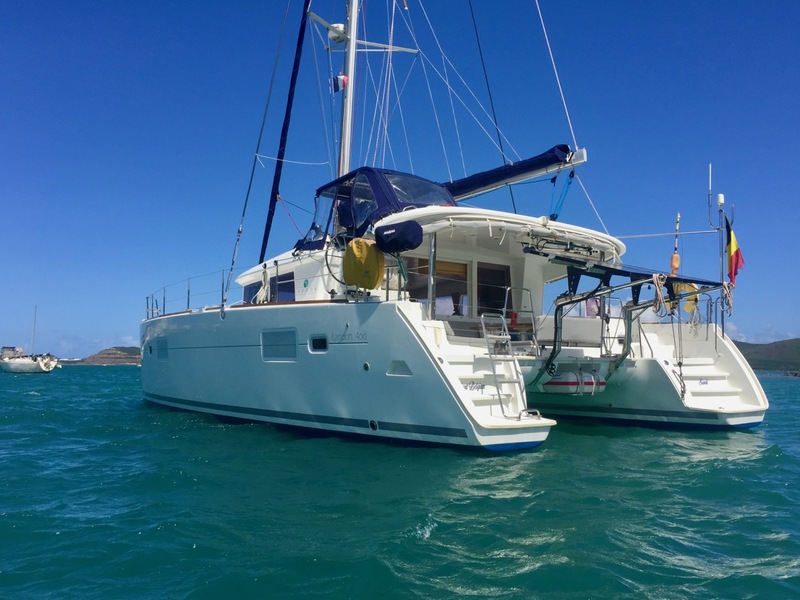 Nautilus Yacht Management offers free of charge assistance with importing the yacht to Australia, should you choose to do so. 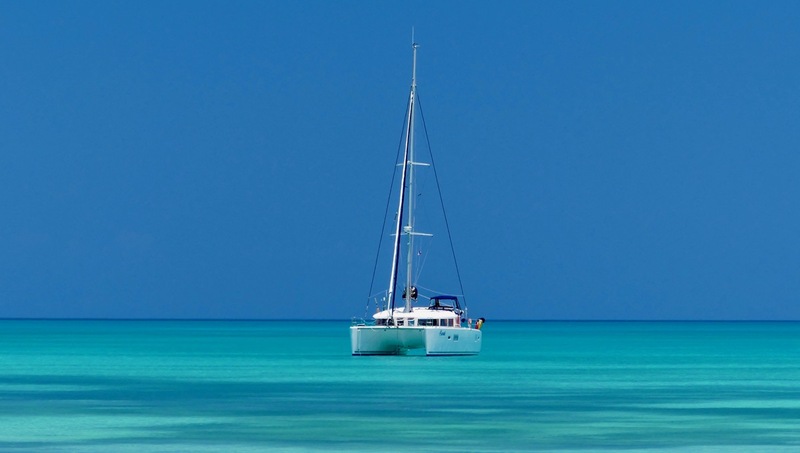 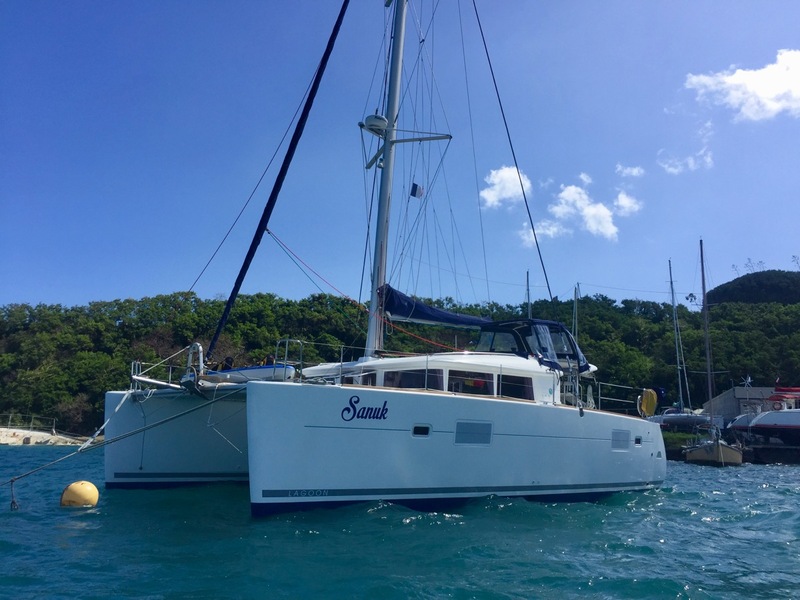 SANUK, a privately-owned/never chartered Lagoon 400 catamaran, is the perfect boat to start your sailing adventure. 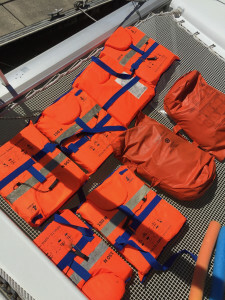 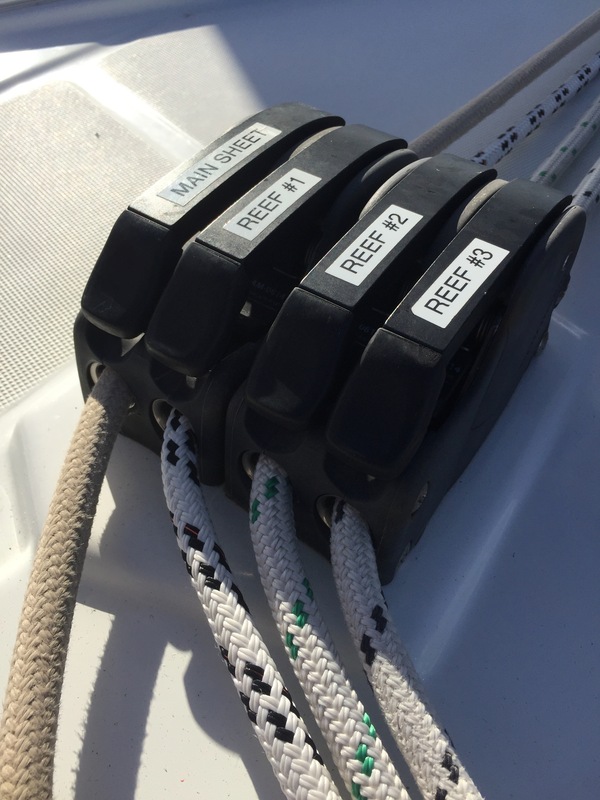 She is cruise-ready with all essential gear already installed, tested, and proven. 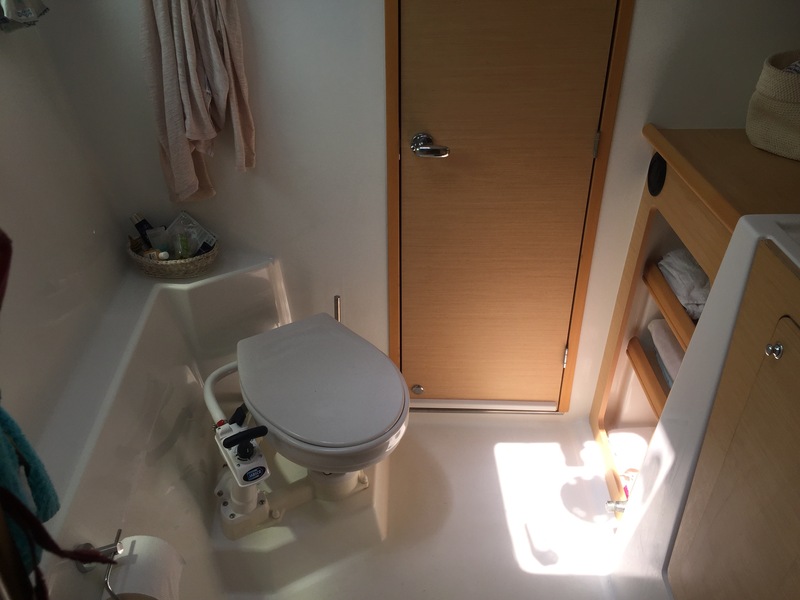 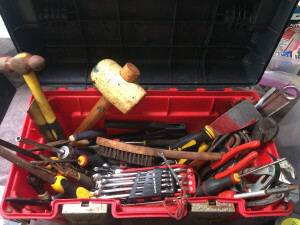 All of the maintenance and upgrades are of the highest quality. 2011 model Lagoon 400, hull 101. Owners version with 3 cabins and 2 heads. Only one previous owner from 2011 to 2015. 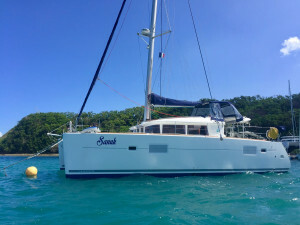 We bought Sanuk in Grenada and Sailed her to Australia with the two of us. 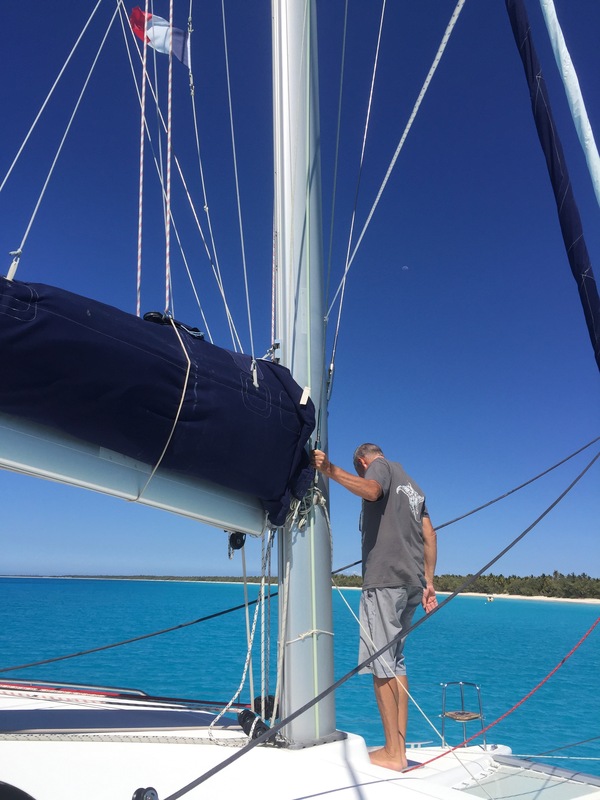 Never been chartered, let alone handled by anyone but ourselves. 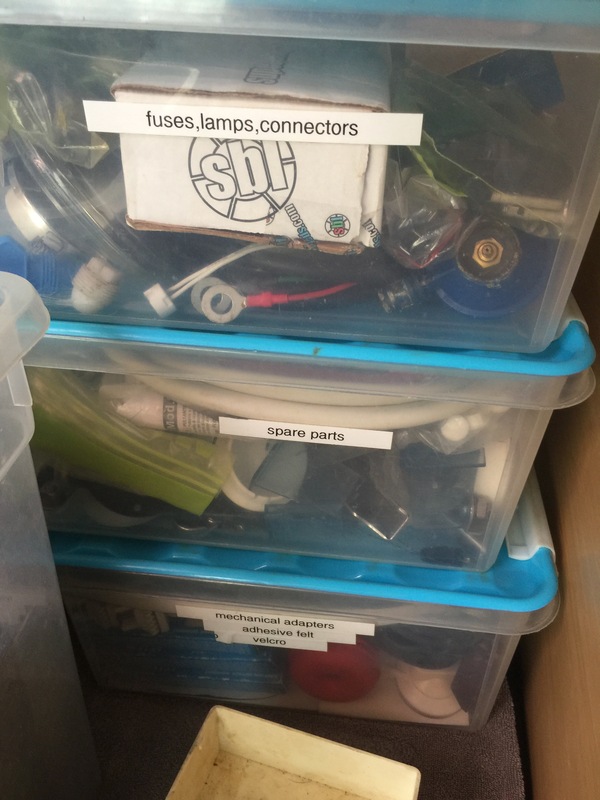 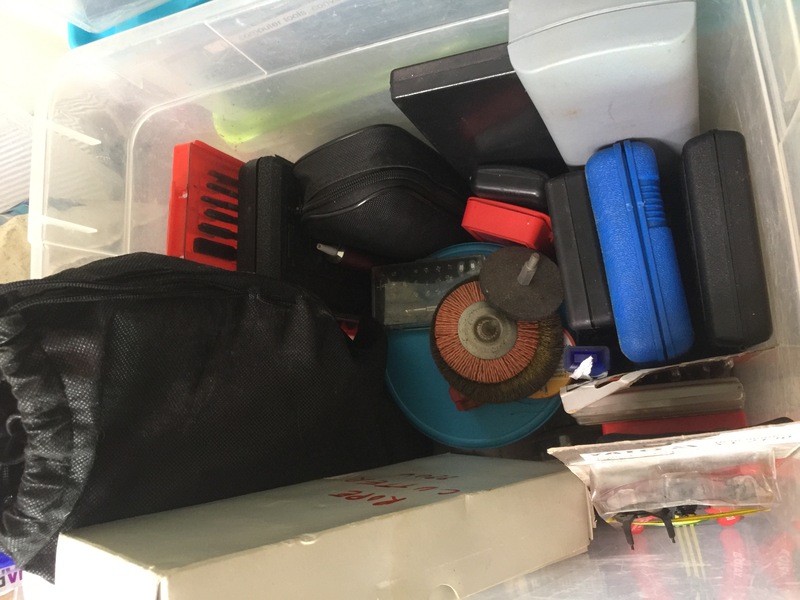 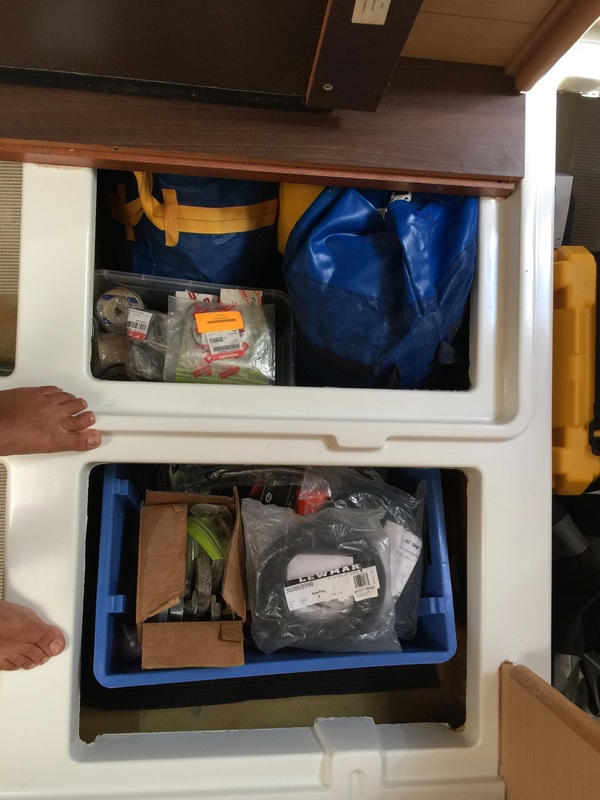 Always stored on the hard during hurricane season. 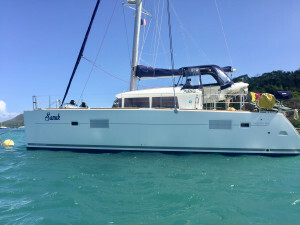 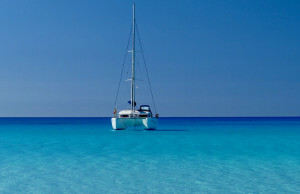 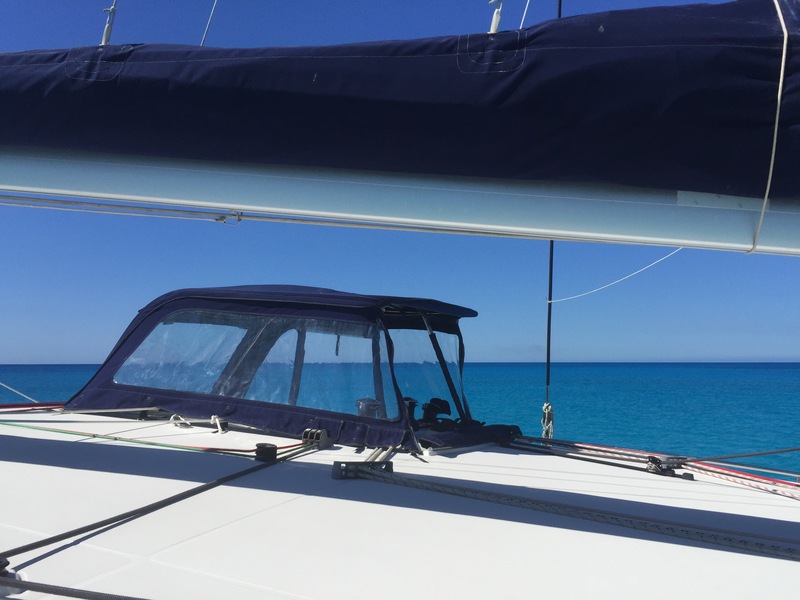 Perfect boat for anyone looking to do blue water sailing for up to 6 people. 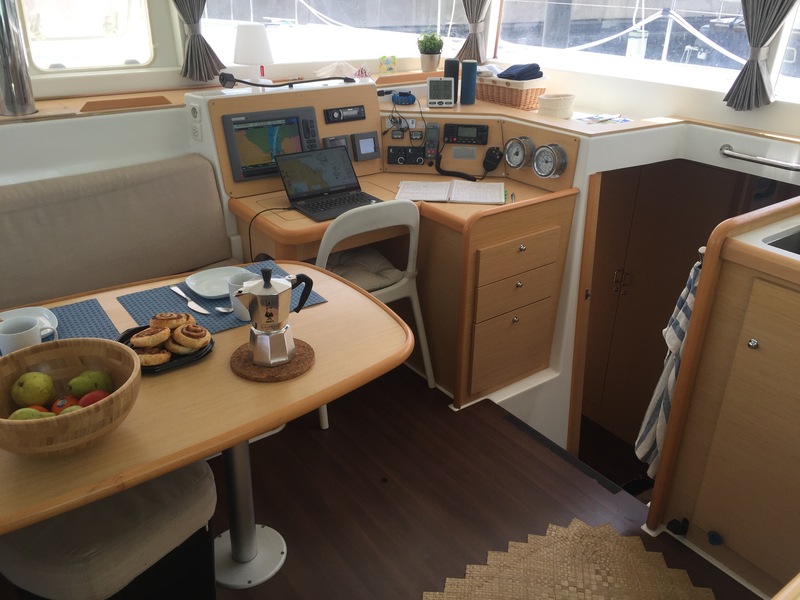 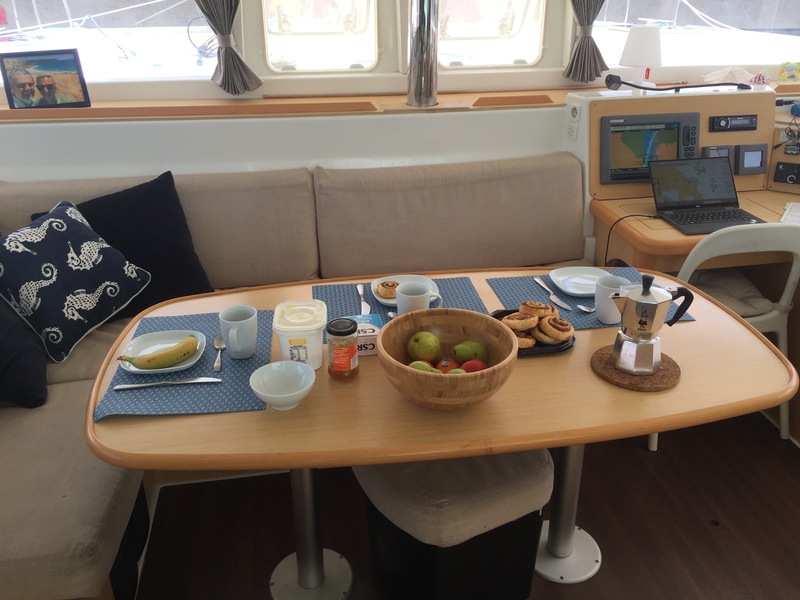 She is outfitted with all that is needed to enjoy relaxed cruising anywhere in the world. 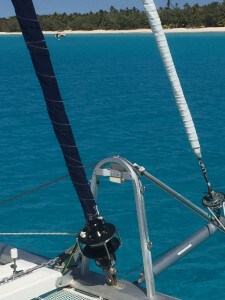 We are creatures of comfort, not racing sailors and Sanuk reflects that choice. 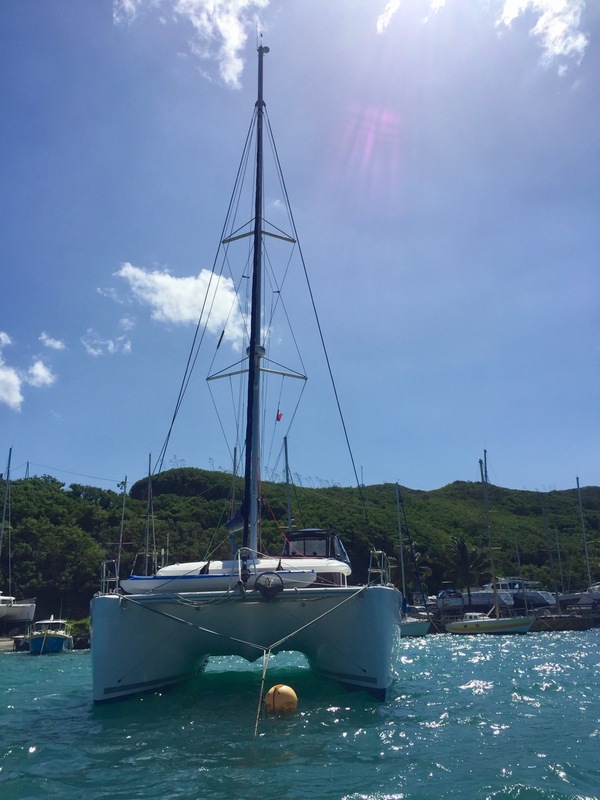 Sanuk is fully cruising ready. 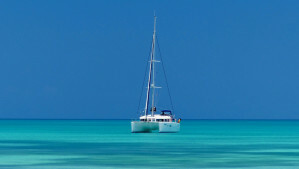 You only need to go grocery shopping, fuel up and you are off to pursue your adventure!. 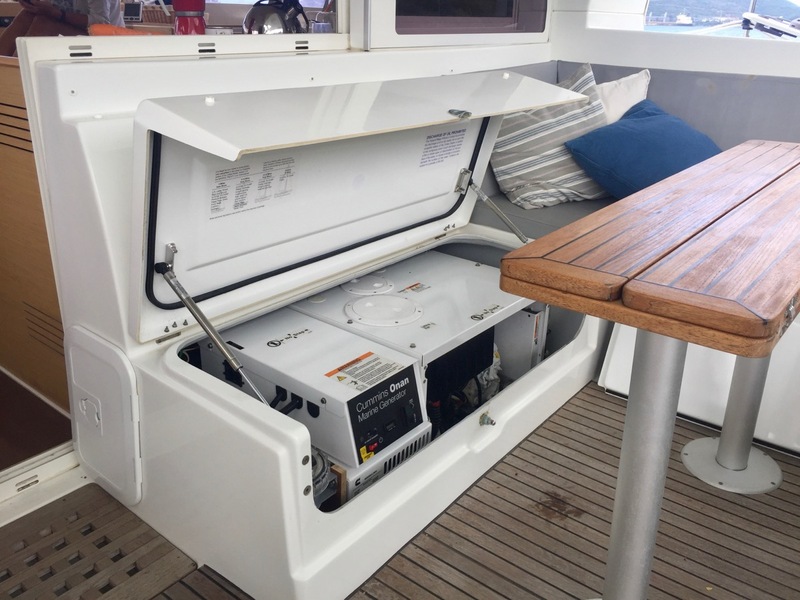 No need to spend months to install and test new systems before you start your cruise. 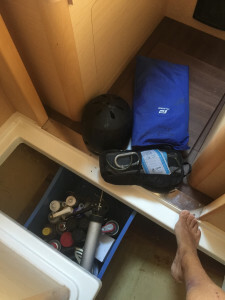 We will do a thorough handover of the boat (three days), explaining all the various systems and their workings and passing on cruising lessons learned. 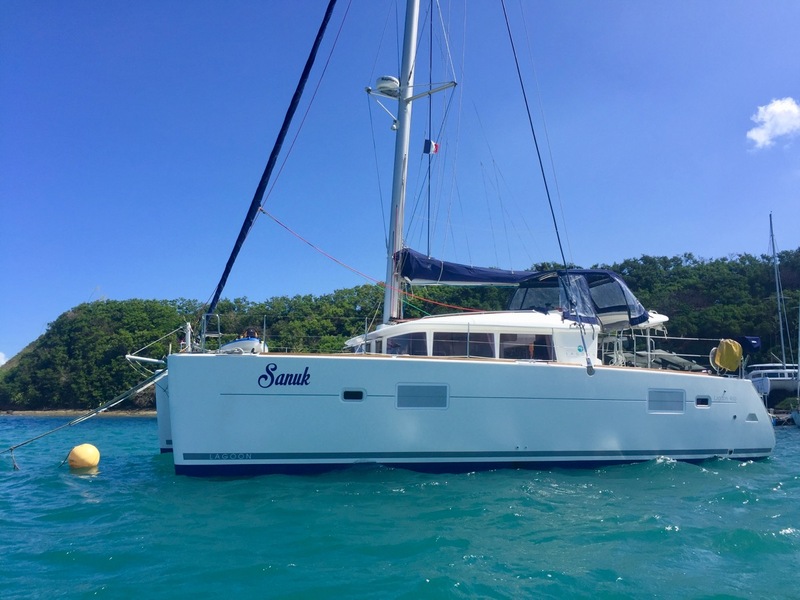 Sanuk was Inspected by a CESAM affiliated inspector for insurances purposes in April 2017. 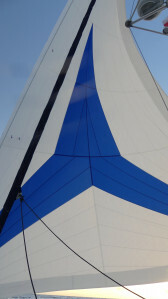 A copy of the report can be provided for consultation. All the maintenance invoices and a detailed log of the boat are available for inspection and come with the boat. 2017 Code 0 asymmetrical gennaker with UV protection on Facnor FX roller furling. 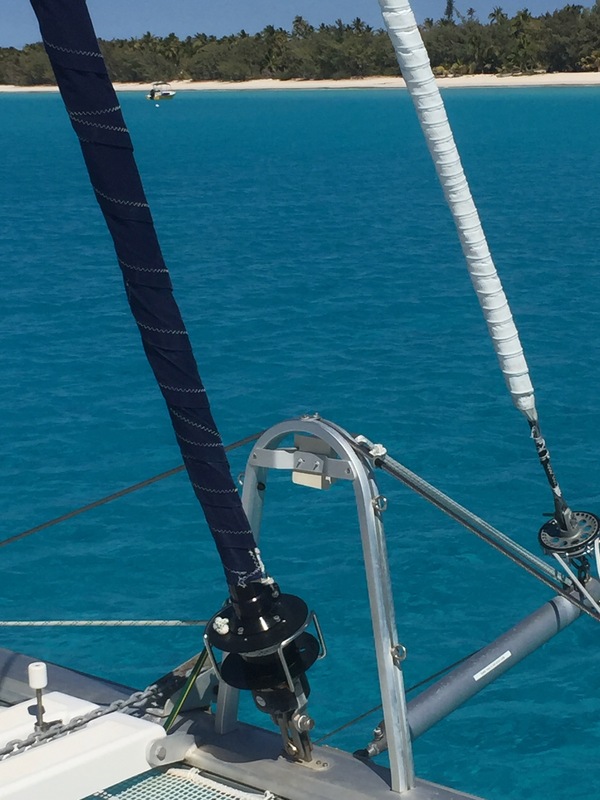 New system with anti-torsion rope that allows tight sail rollup in up to 20 knots winds. 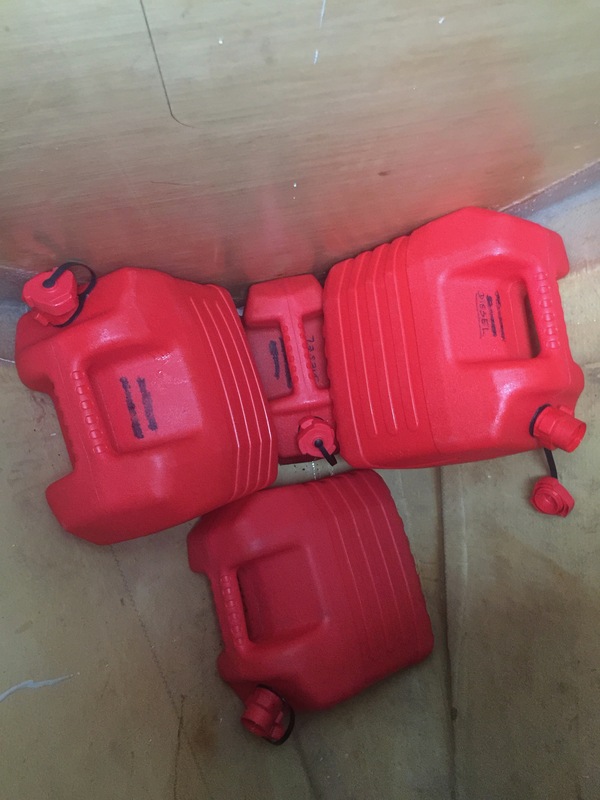 Polyester and high quality anti-osmotic resin FRP construction. 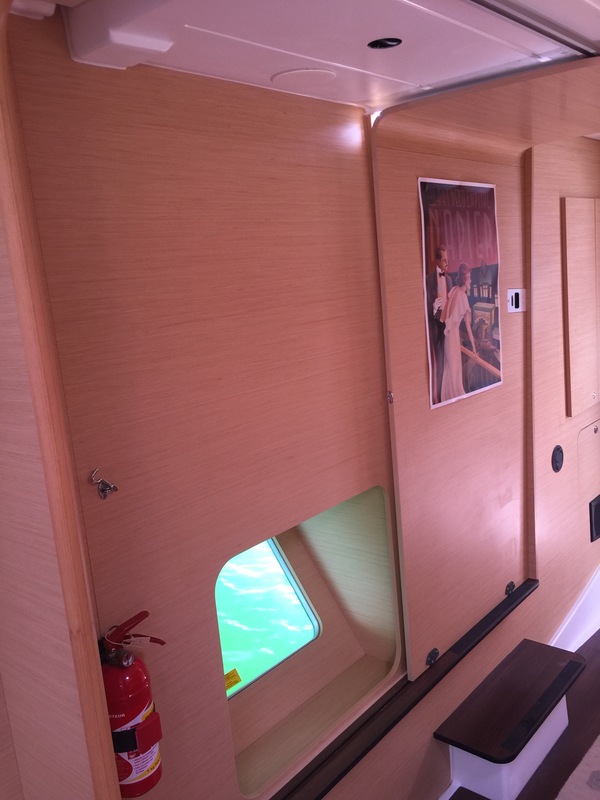 Below the waterline: infused Hull bottom in solid GRP. 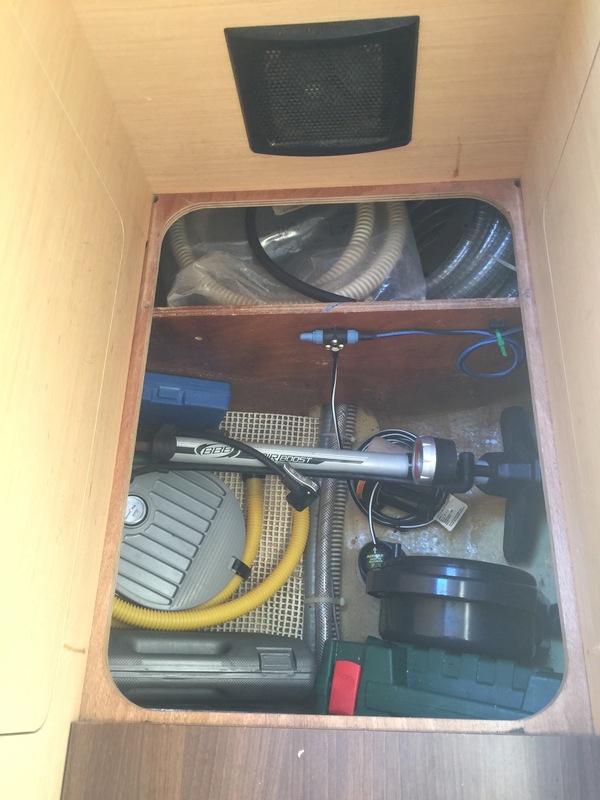 Vacuum bagged and infused with high quality anti osmotic resin and polyester resin. 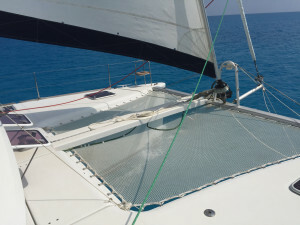 Solid glass or core-mat sandwich one-piece liners for ultimate strength and bonding. 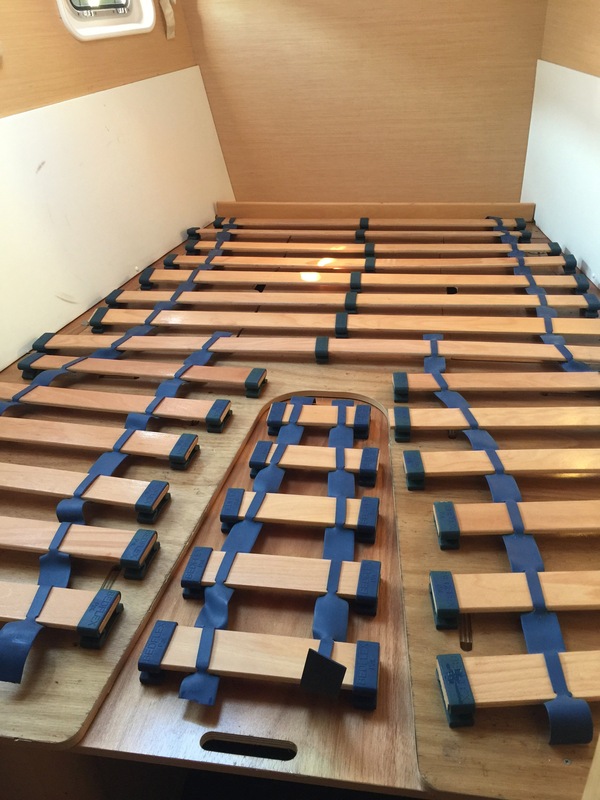 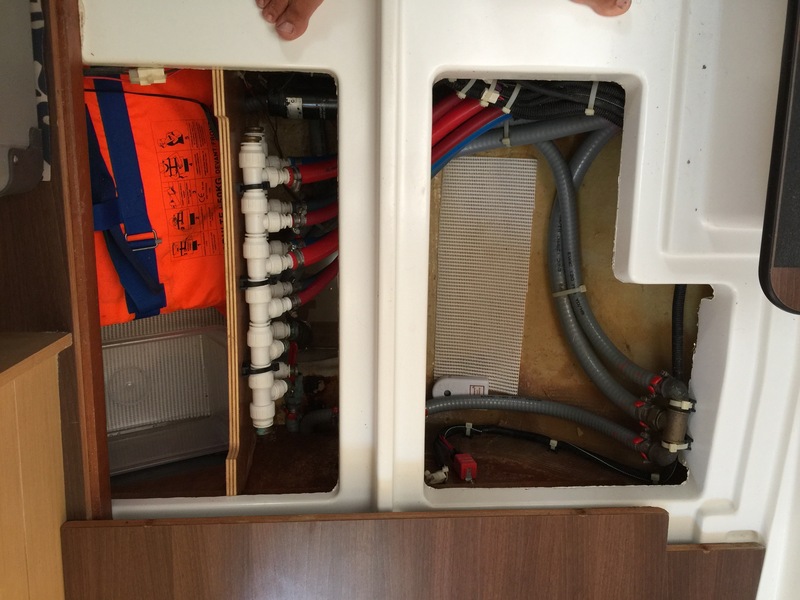 Glassed or bonded laminated wood bulkheads for a stiffer hull. 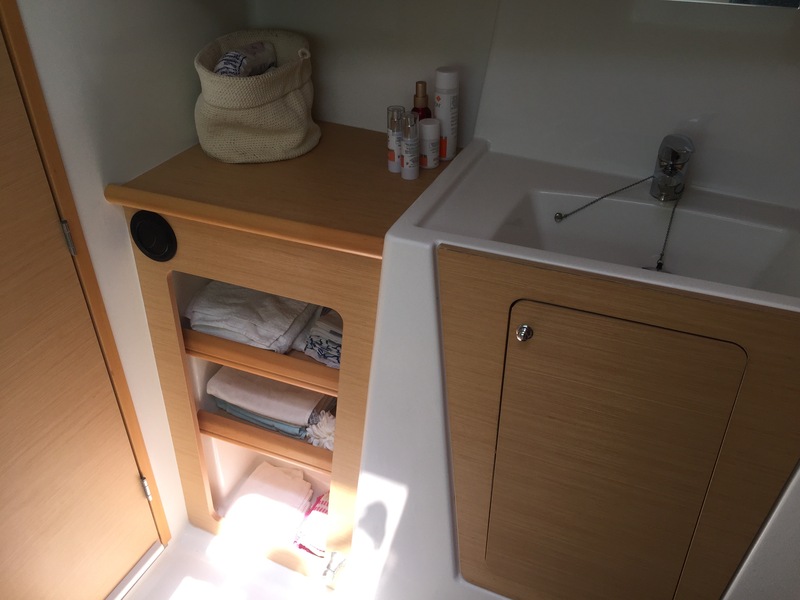 Usage: 2346 hours on starboard, 2363 hours on port engine (September 2018). 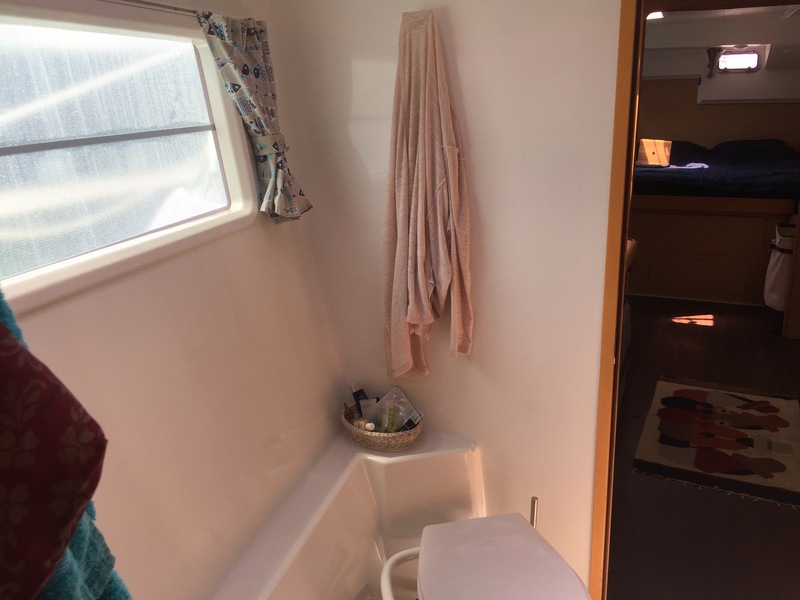 Meticulously maintained with logs. 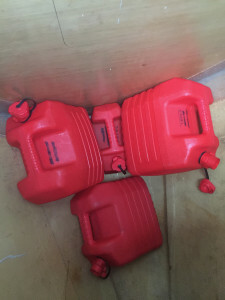 2 diesel fuel tanks, 200L each. 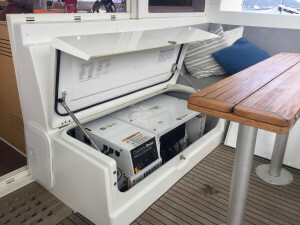 Generator can run of either one. 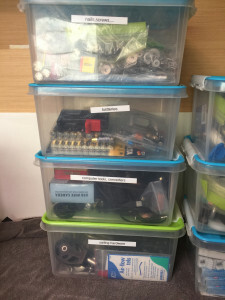 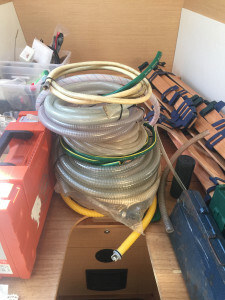 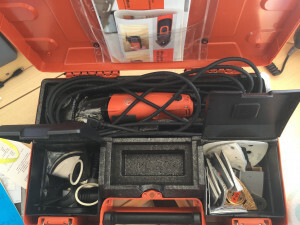 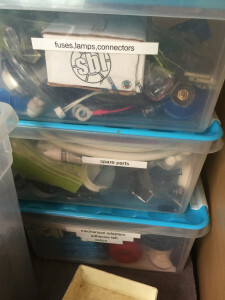 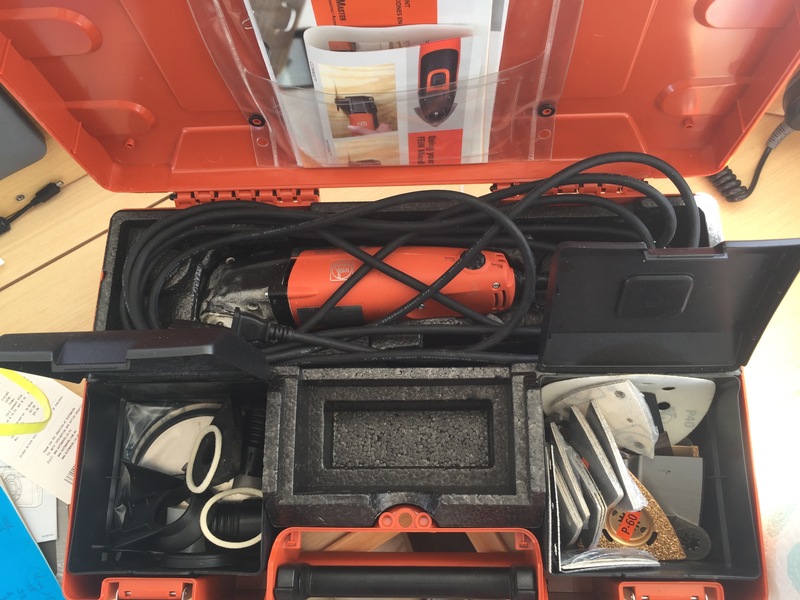 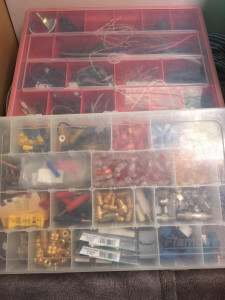 Dual shore hookup: 120V and 240V connector with a variety of connectors and charge cables. 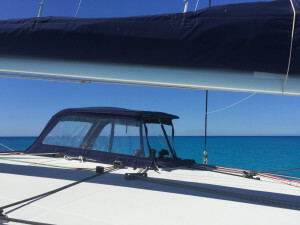 Easy hookup from Caribbean to Australia and in between. 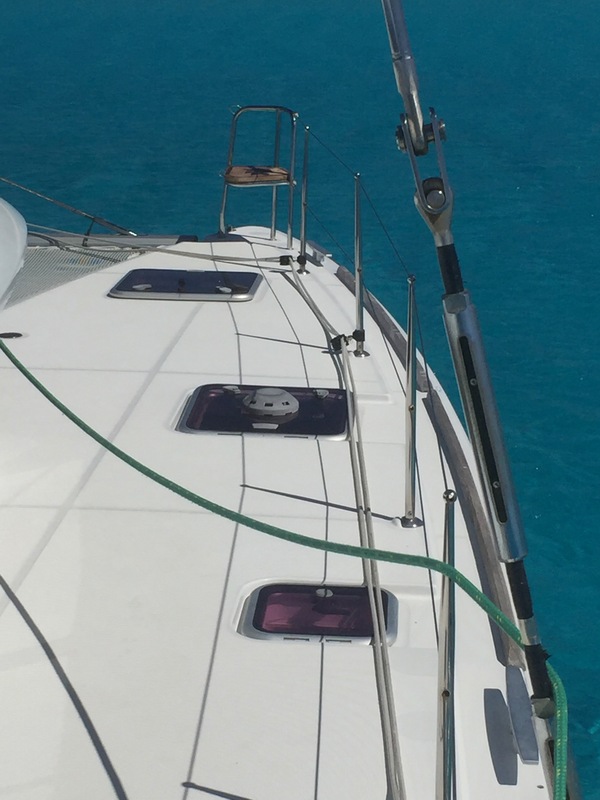 Stainless steel davits to hoist dinghy with outboard. 2 speed electric Harken winch to hoist dinghy. Spare Dow Filmtec membrane for water-maker (average salinity 120-140 ppm) on board. Deck wash down with choice of fresh or salt water usage. 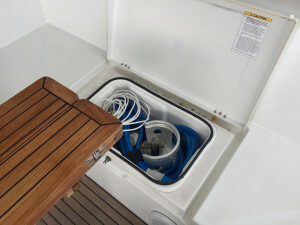 Can be used with marina fresh water without contamination or boat fresh water. 40L Quick B3 Water heater, runs off inverter or uses starboard engine heat exchanger to warm water. Spare heater element on board. 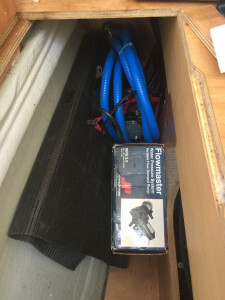 Johnson Flojet fresh water pump with air cushion. 2 spare pumps on board. 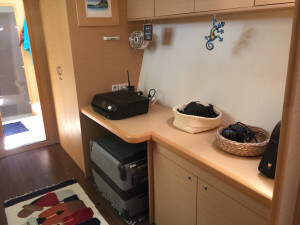 Philips 20″ Lcd TV / monitor with DVD & MP3 player (2 indoor and 2 outdoor Fusion waterproof speakers) with powered TV antenna in masttop. 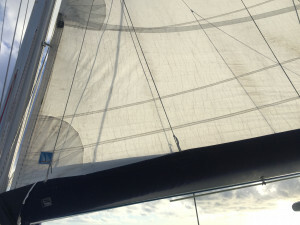 Radio FM/AM. 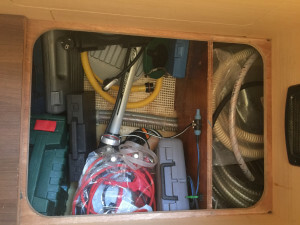 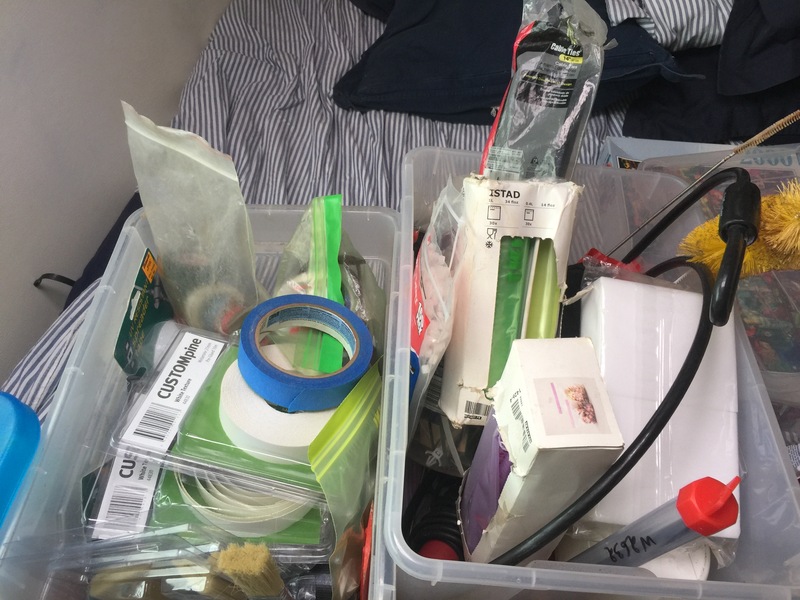 Roomy cabinet under helm station for storage. Location for optional extra freezer or icemaker. 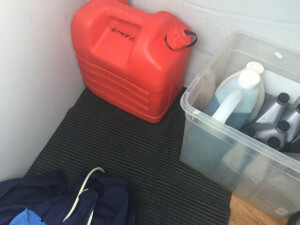 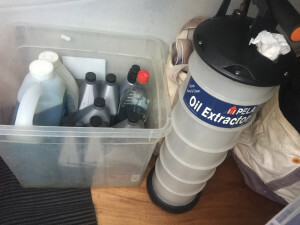 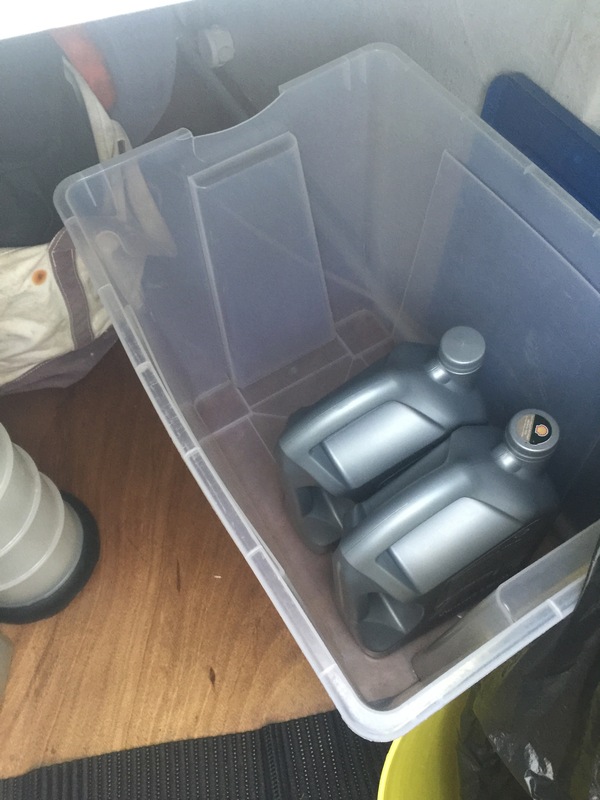 Two 40L black water holding tanks, one in each hull. 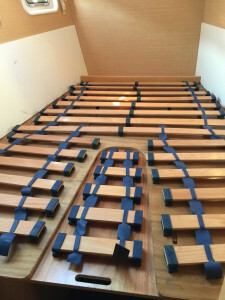 Rail mounted Magma Newport gas barbeque with Sunbrella cover. 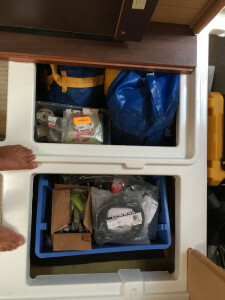 Removable with padded Magma storage bag on board. 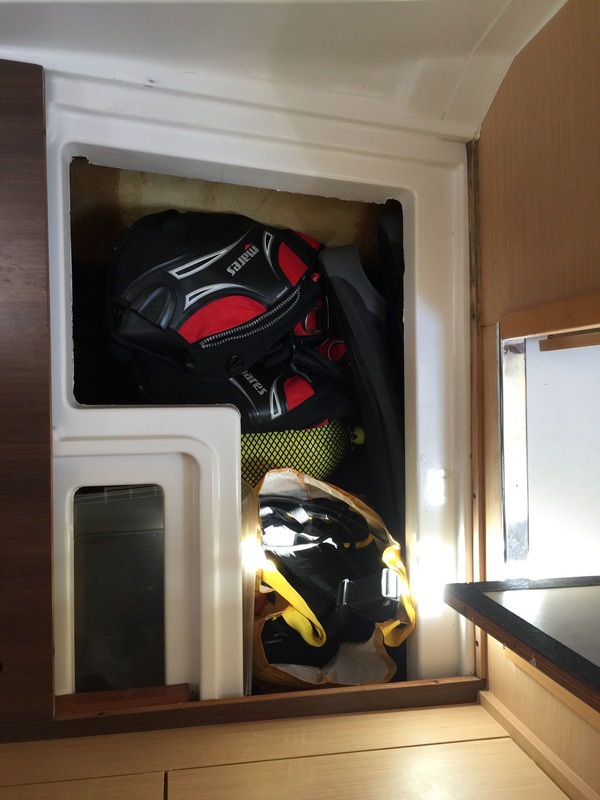 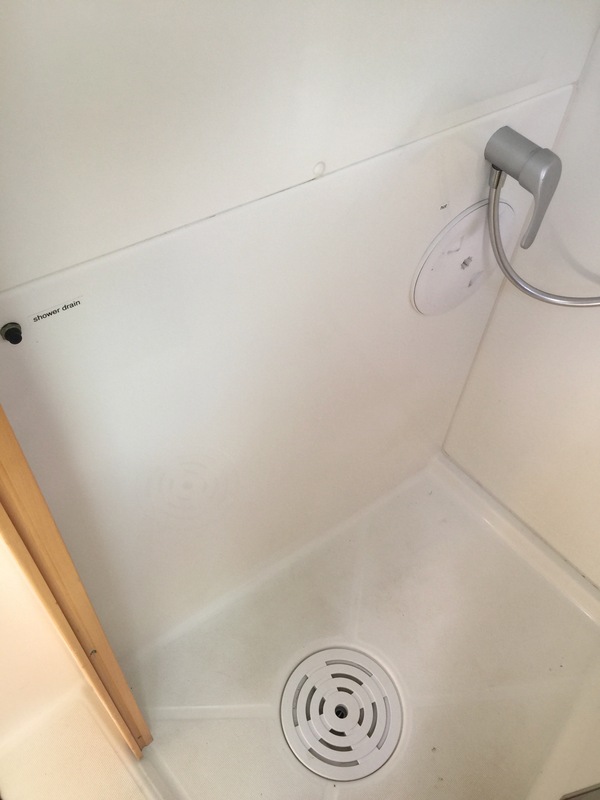 120V washing machine Haier 10 cubic feet, stowed in cabinet, taken out during use. 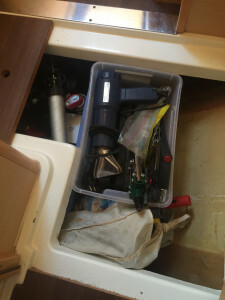 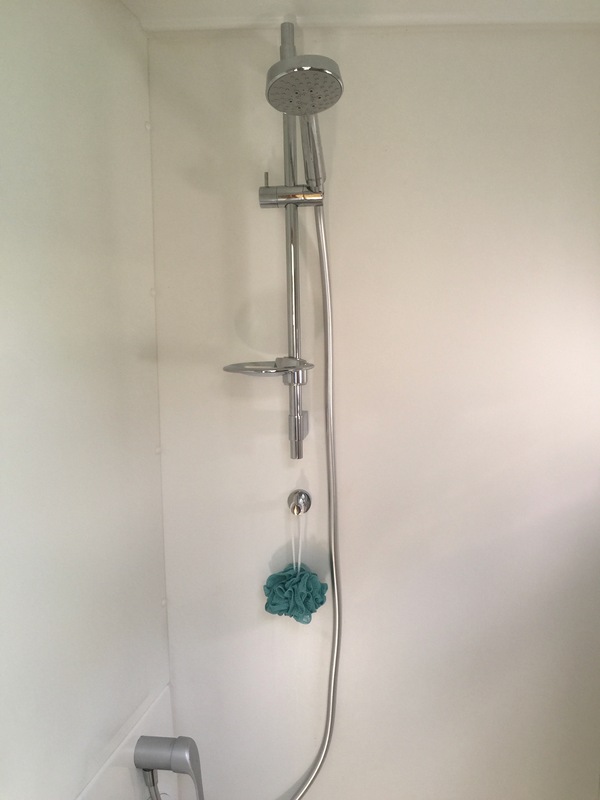 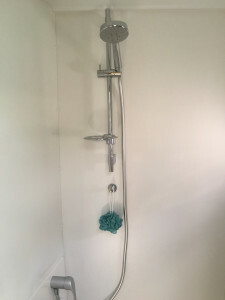 Hooks up to bathroom faucet and sink during use. 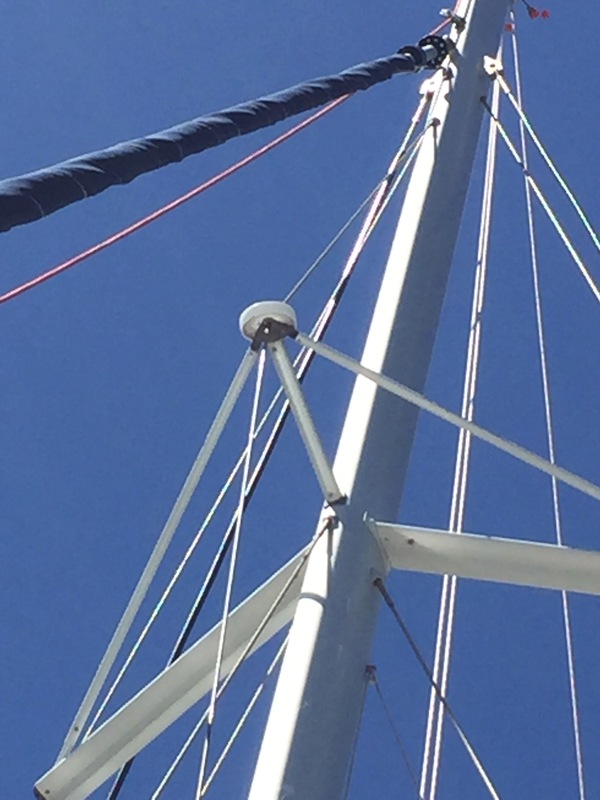 Quick vertical windlass Aleph AL1012D 1000Watt, with wireless and wired controller. 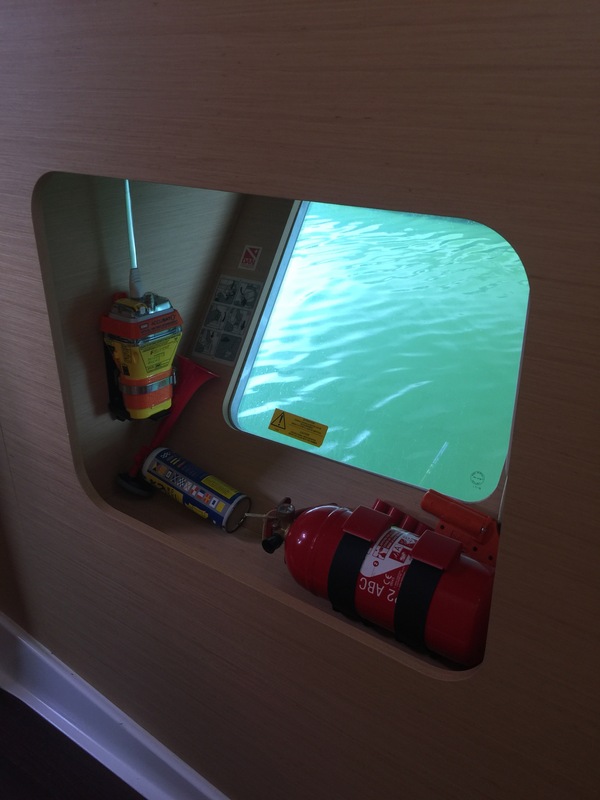 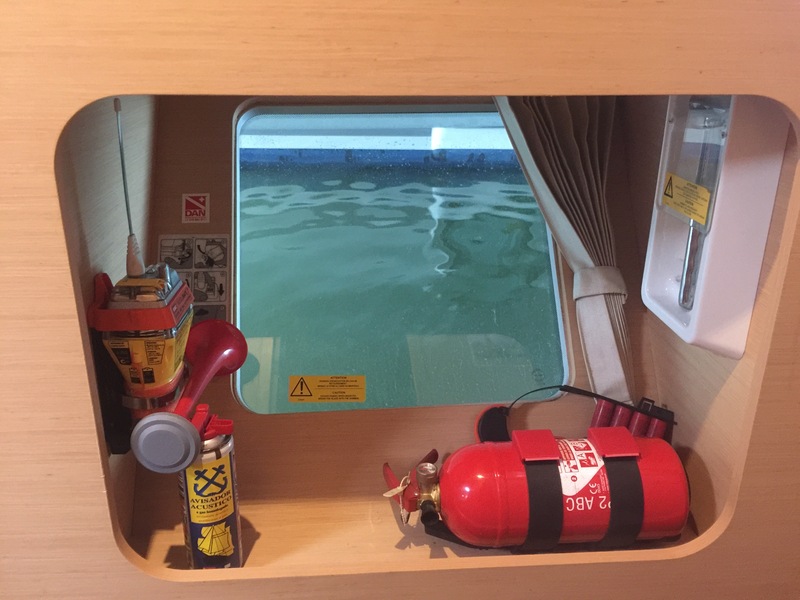 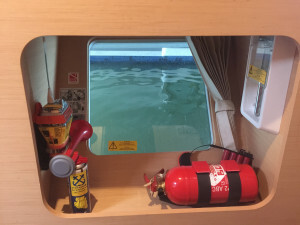 Easy to control from front of boat or from pilot station. Tertiary Fortress FX 37 alu anchor with 20 m chain and 30 m rope and anchor buoy. 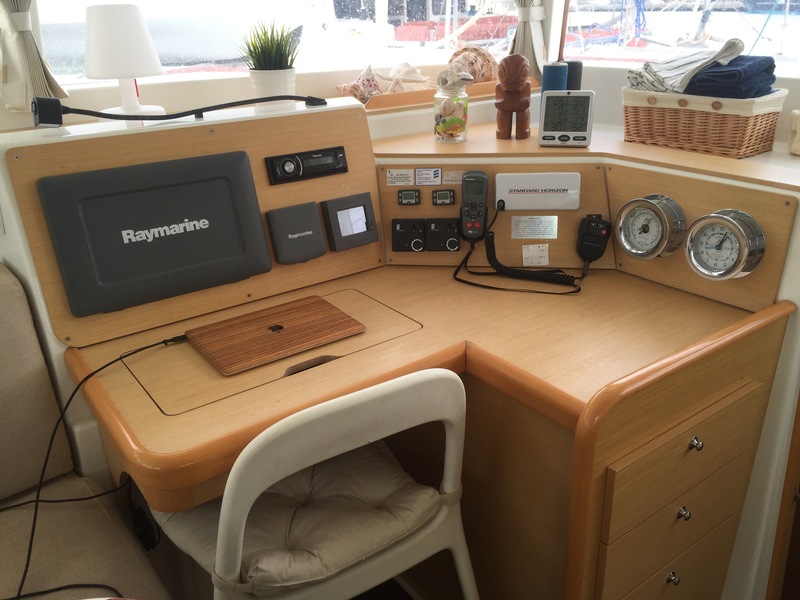 Navionics charts (worldwide 2014-2016) in a CompactFlash format. 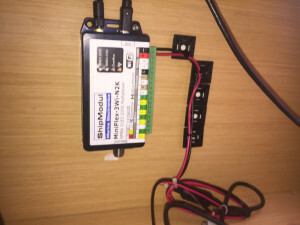 ST70 Raymarine autopilot controller for Raymarine SPX smartPilot autopilot X30 with rudder sensor. Lecombe and Schmitt hydraulic drive. (Spare drive on board). Raymarine handheld remote autopilot Smart Controller at navigation station. Miniplex NMea 2000 WiFi data access (new 2017). 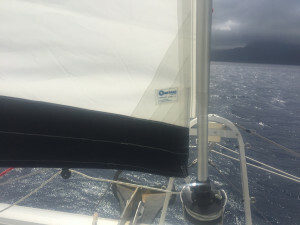 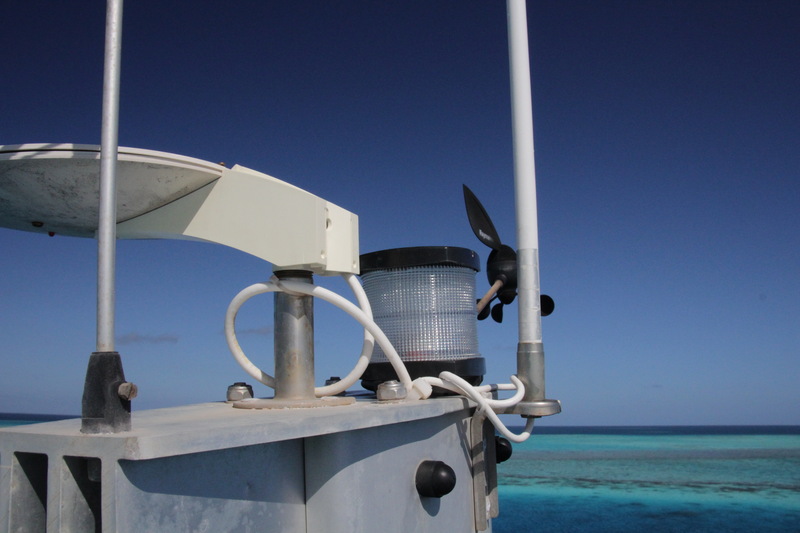 Access all boat and AIS data within OpenCPN via wifi on your computer. 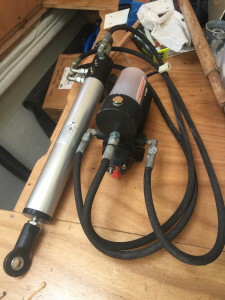 Spare hydraulic autopilot pump with hookups. 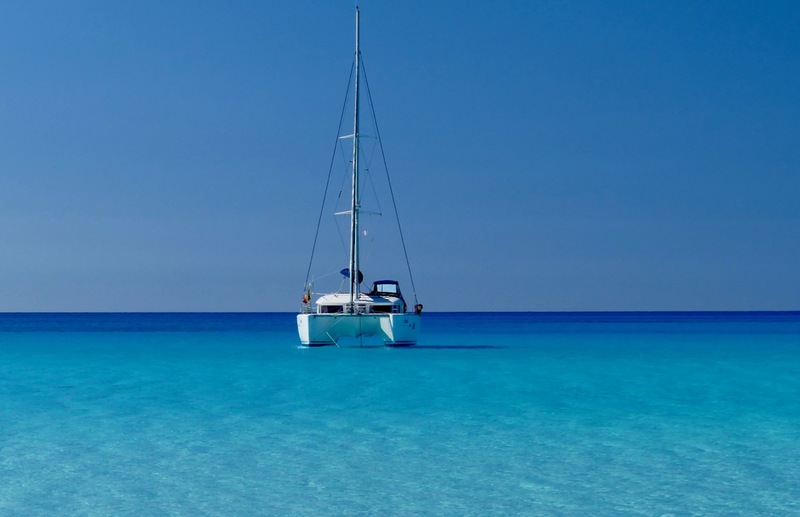 Nautilus Yacht Management is a boutique yacht brokerage specialising in premium quality cruising yachts around the world. 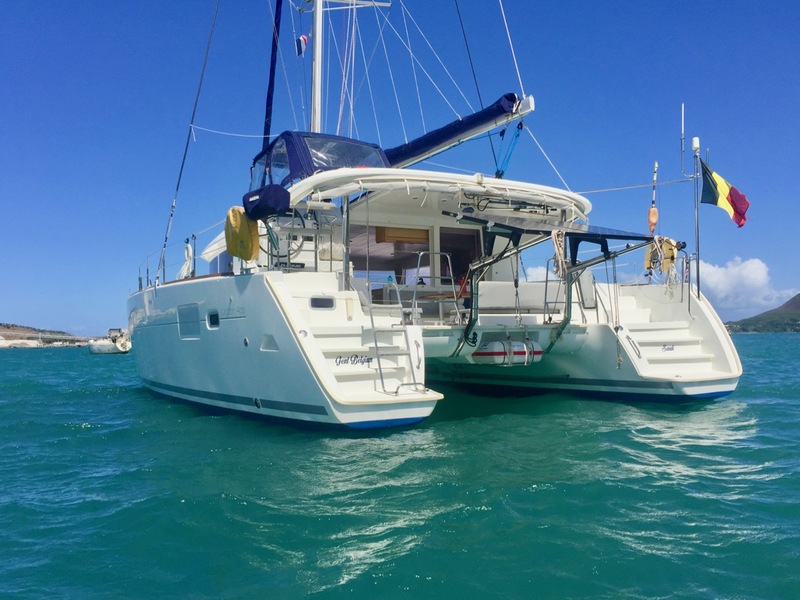 We assist cruisers find a new home for their yacht at the end of their voyage, and help new cruisers finding the perfect boat for their needs. 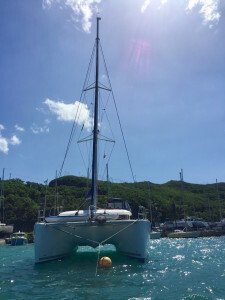 Model : 400. Owner's version. 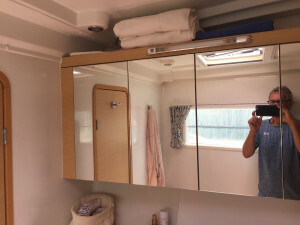 I would like to enquire about #LAG40018 Lagoon 400. 2011 model. 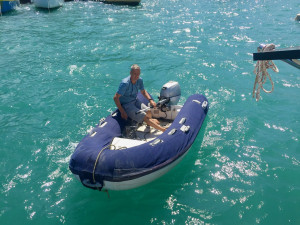 Owner's version.